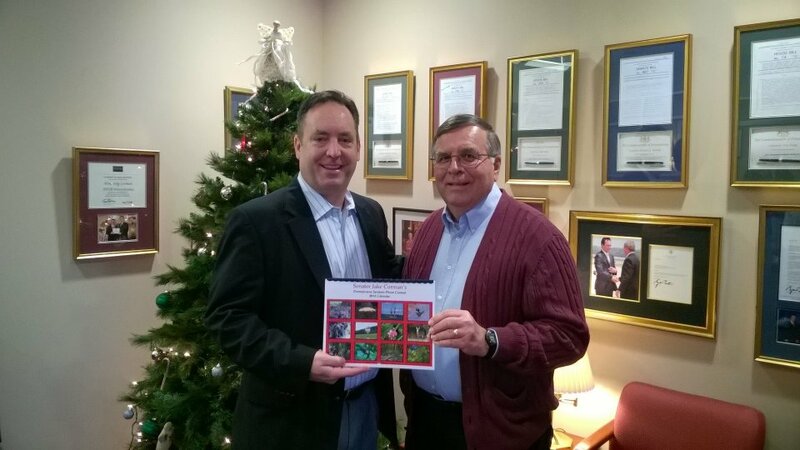 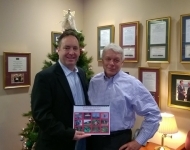 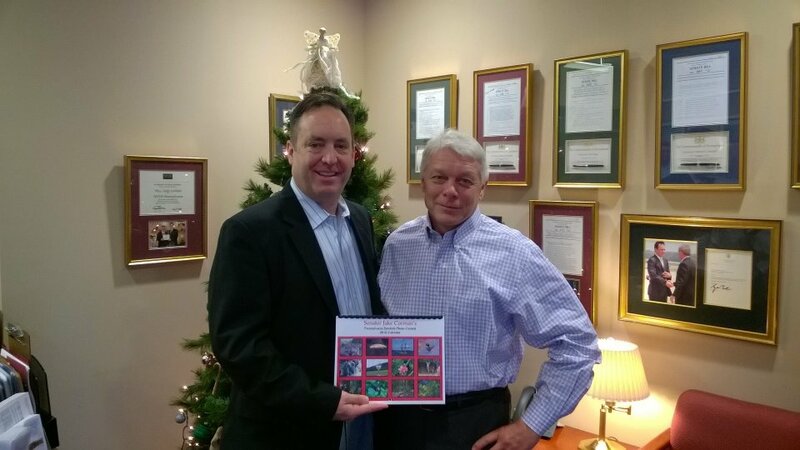 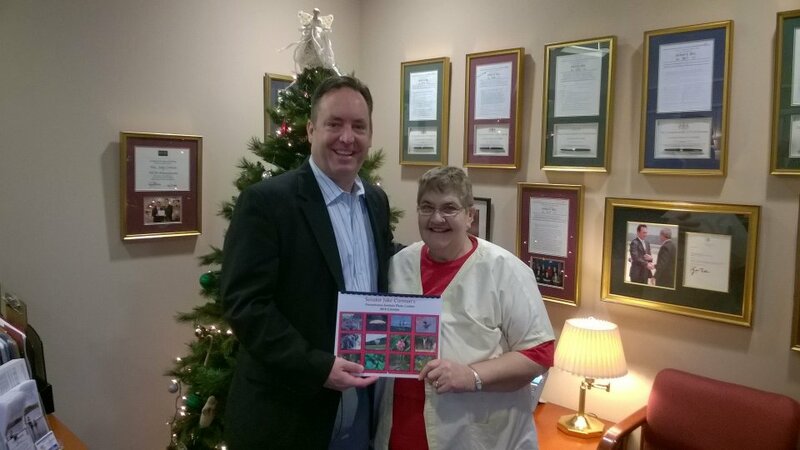 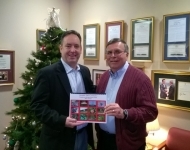 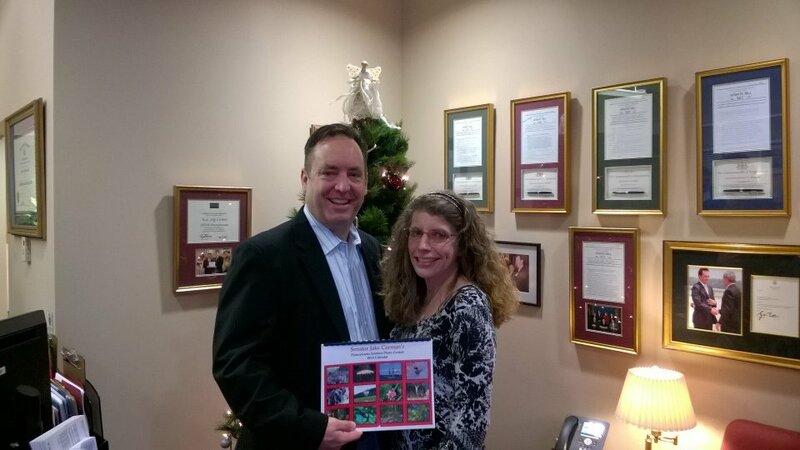 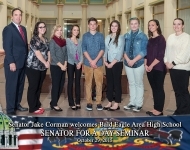 December 17, 2015 - Senator Corman congratulates several of the winners of the first annual photo contest. 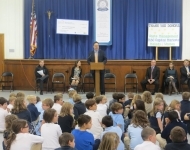 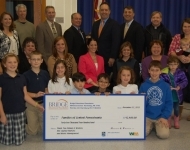 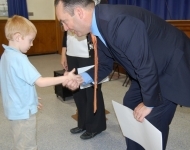 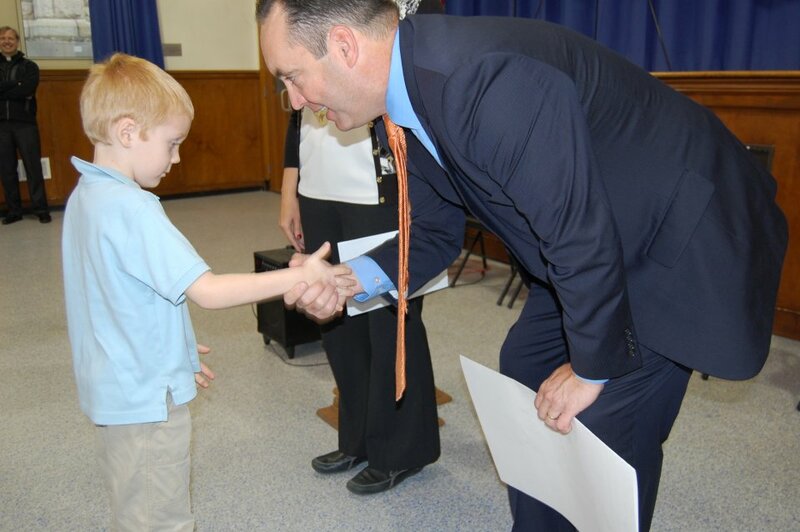 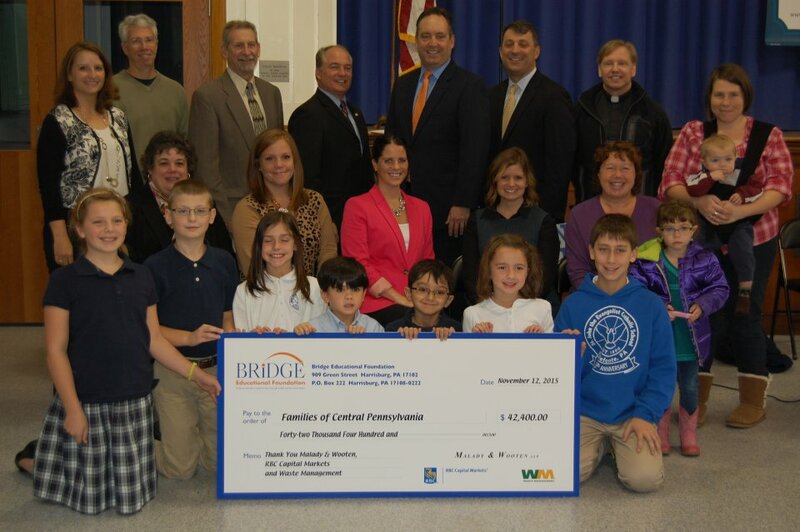 November 12, 2015 - Senator Corman attended the Bridge Foundation Scholarship Presentation at St. John the Evangelist School in Bellefonte. 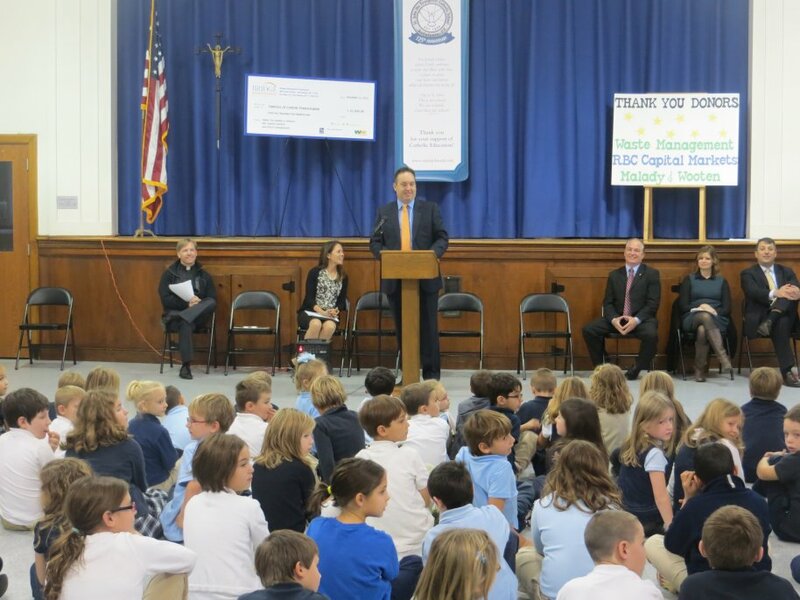 Seven schools in Senatorial District 34 were recipients this year for families to have the means to choose thanks to the Educational Improvement Tax Credit (EITC) program. 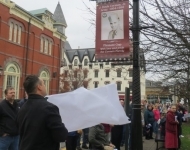 November 11, 2015 - Senator Corman attended the Bellefonte VFW Veterans Day ceremony that concluded this year with the unveiling of the Historic Bellefonte, Inc. inaugural Hometown Hero banners. 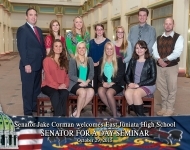 Senator Corman unveils a banner honoring his father, J. Doyle Corman, for his service in the U.S. Army 101st Airborne. 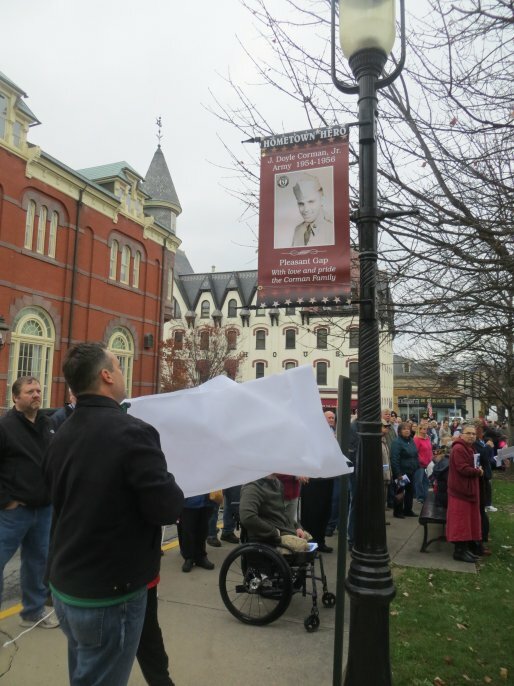 November 11, 2015 - Senator Corman attended the Bellefonte VFW Veterans Day ceremony that concluded this year with the unveiling of the Historic Bellefonte, Inc. inaugural Hometown Hero banners. 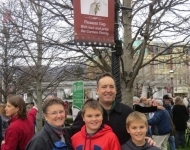 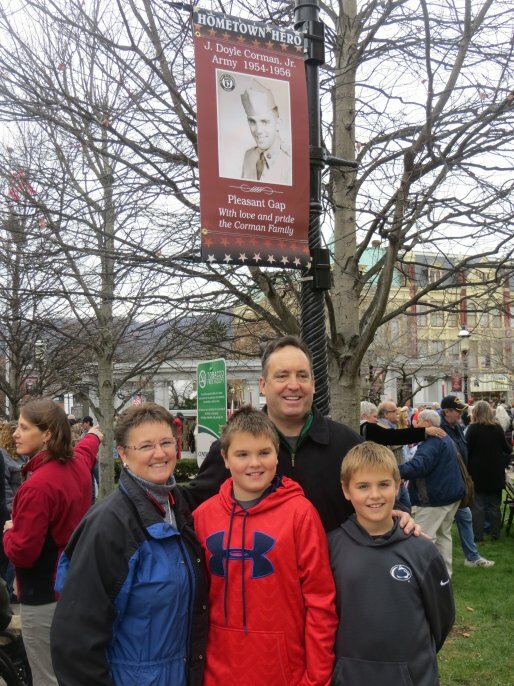 Senator Corman stands with his sister, Melissa Sieg and his two sons, Jacob and Davis, below his father’s banner. 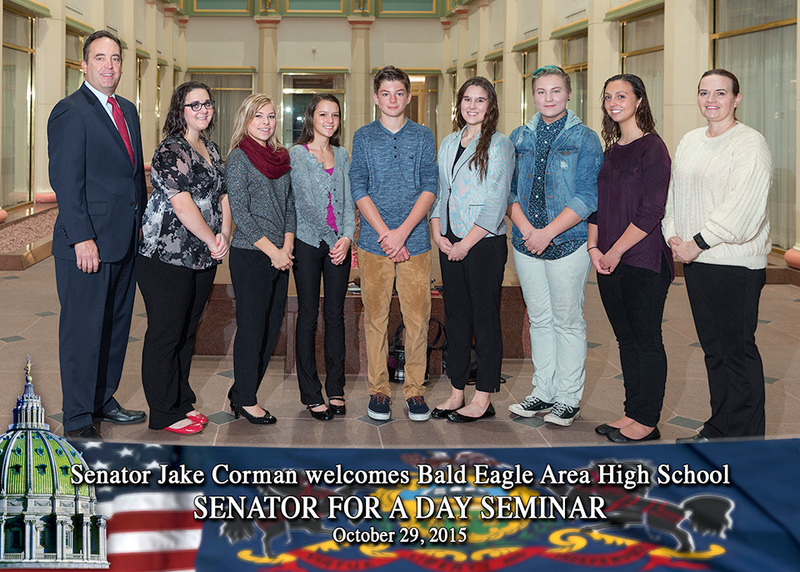 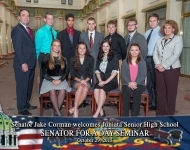 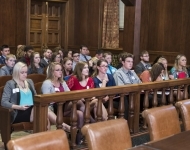 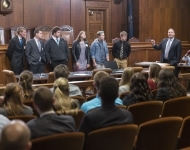 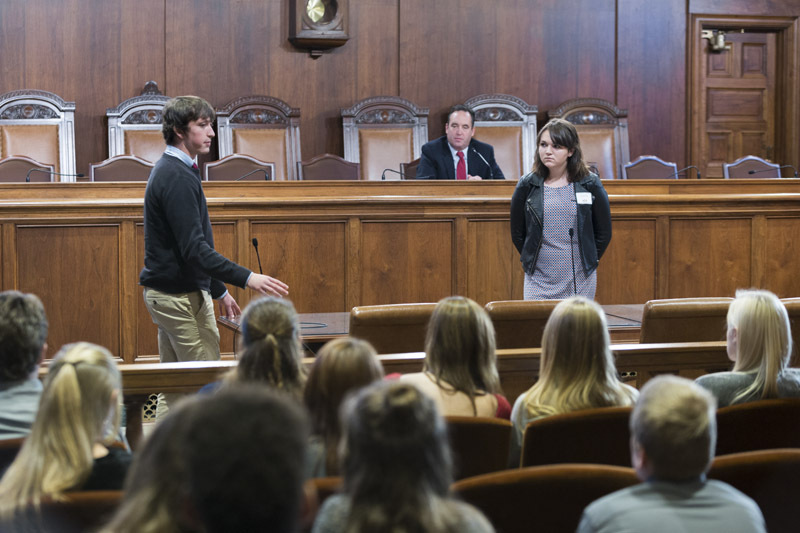 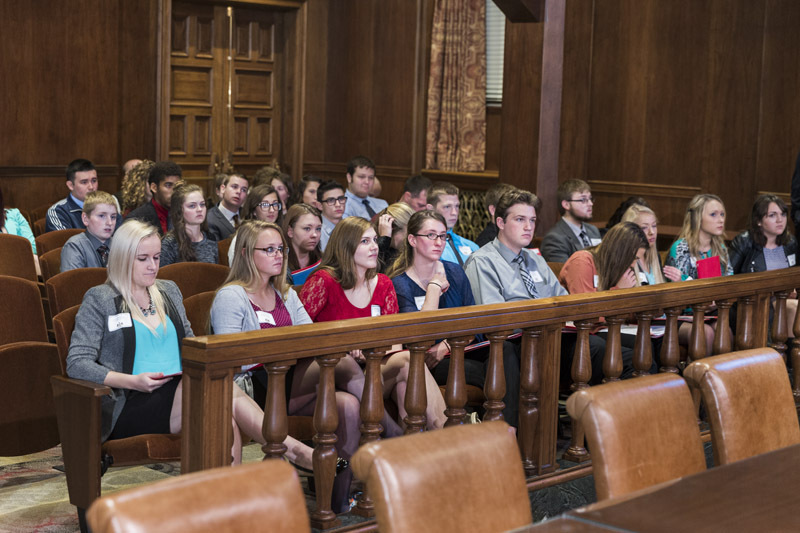 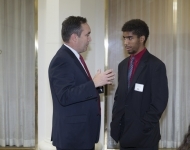 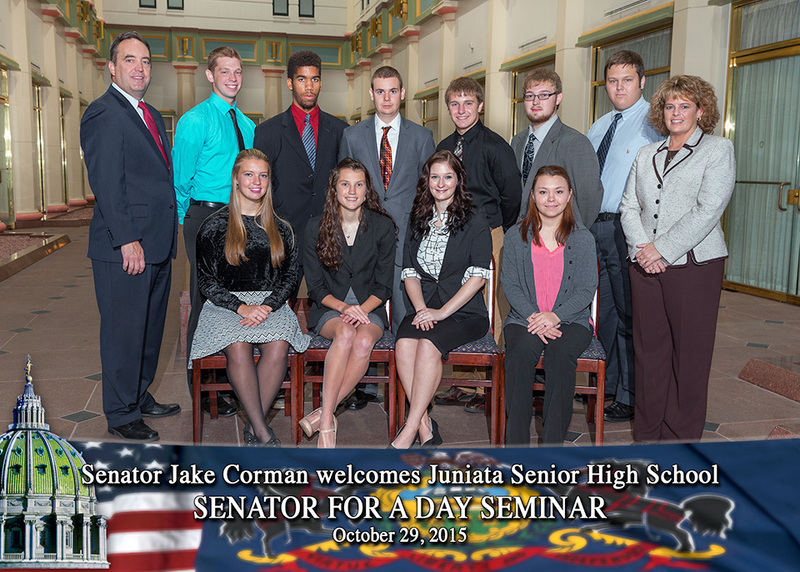 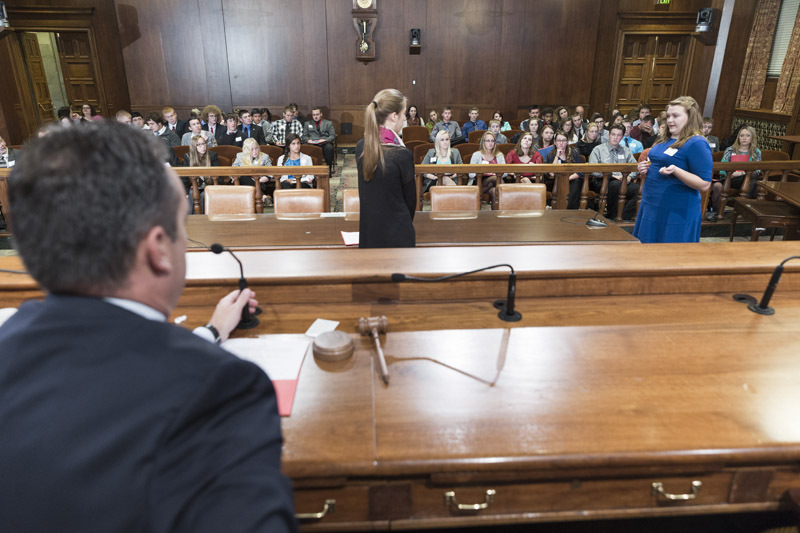 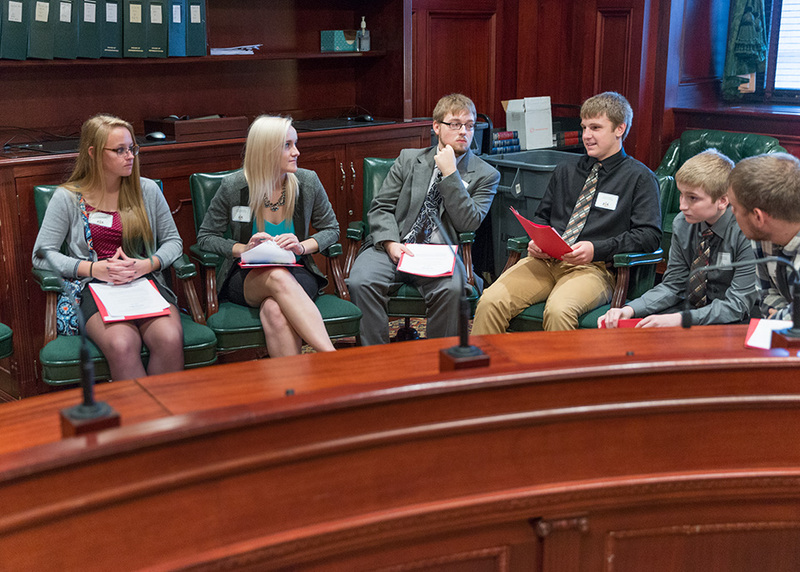 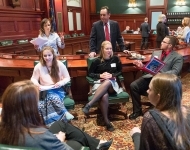 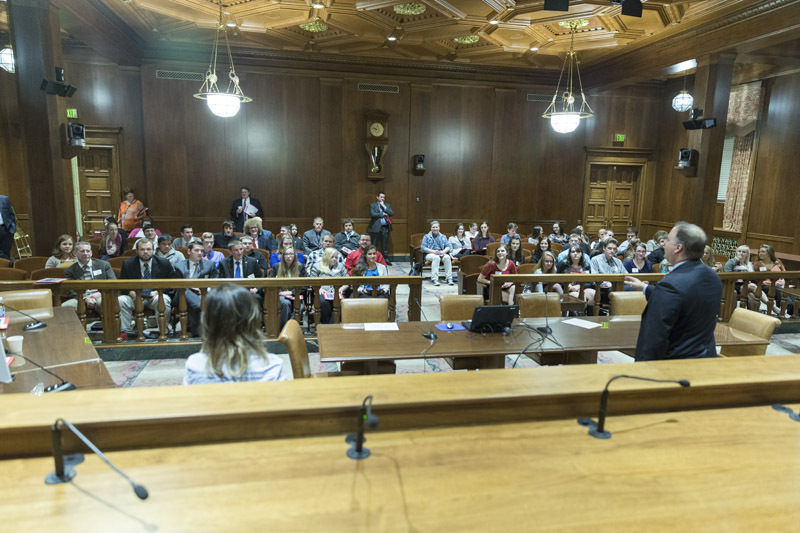 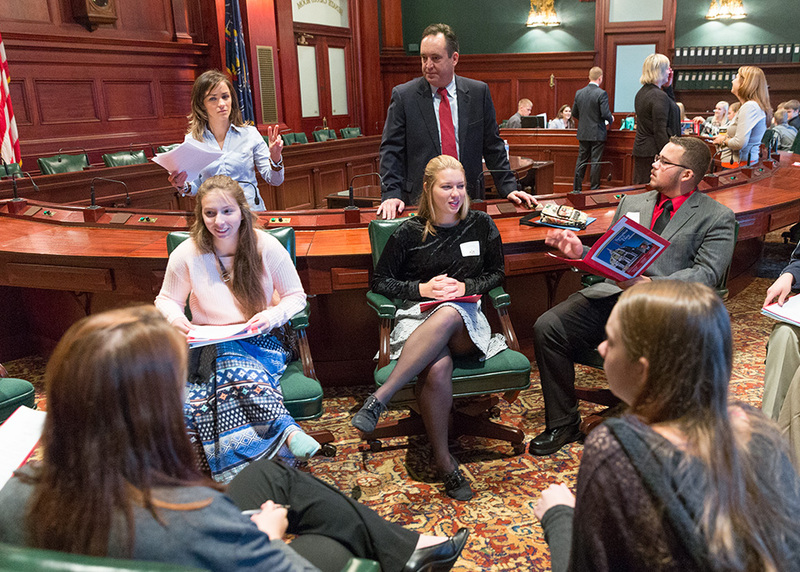 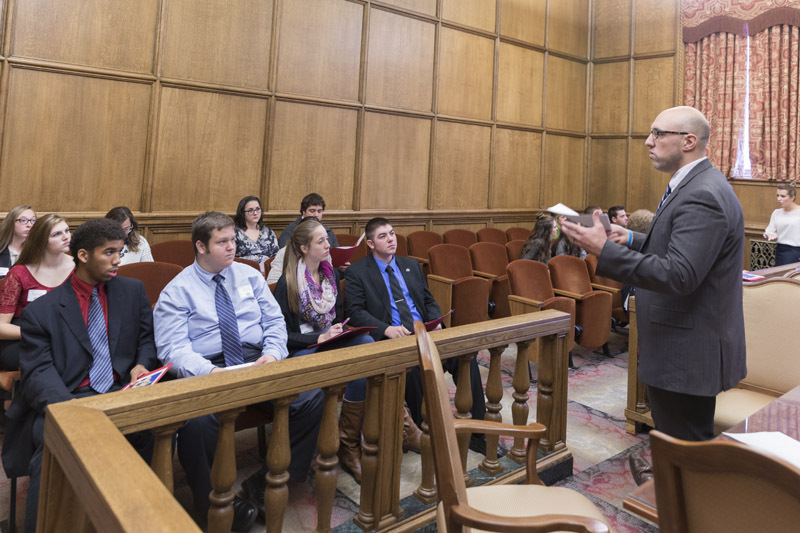 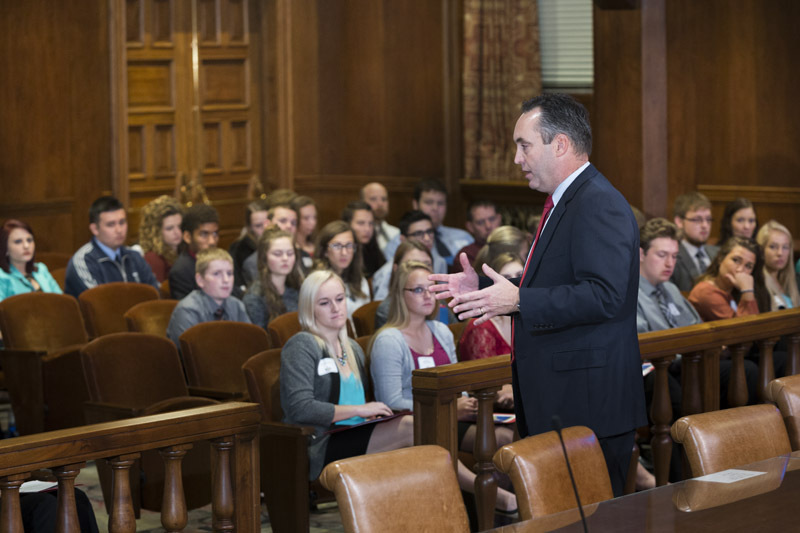 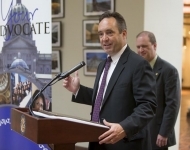 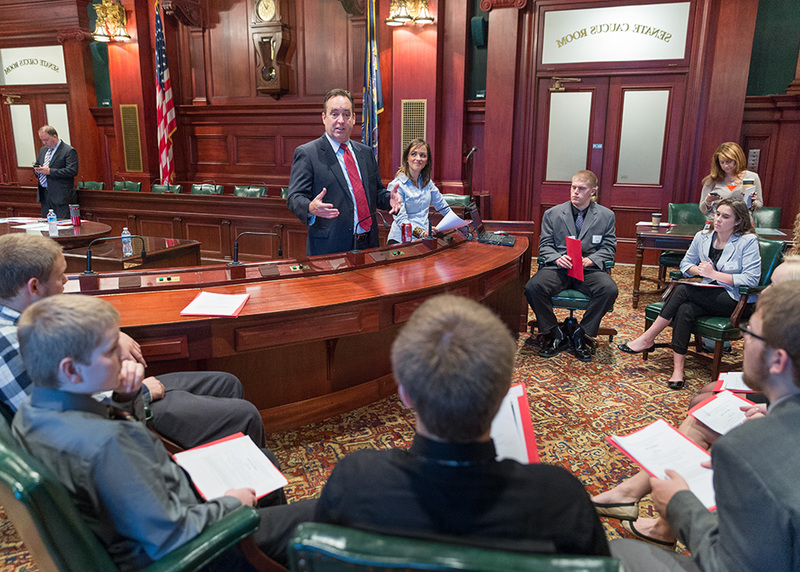 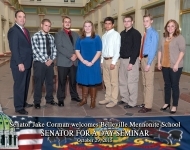 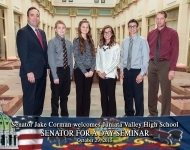 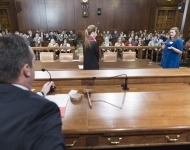 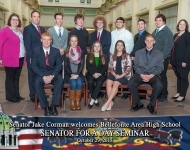 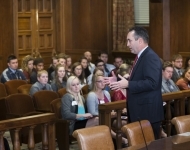 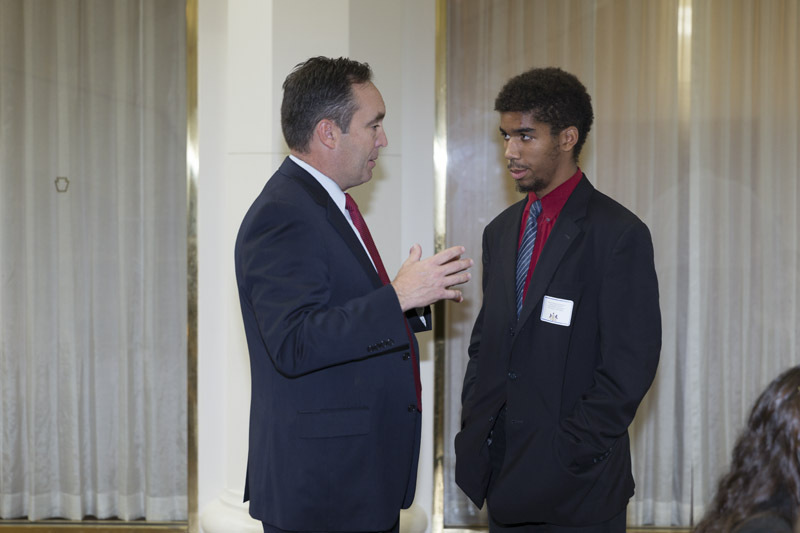 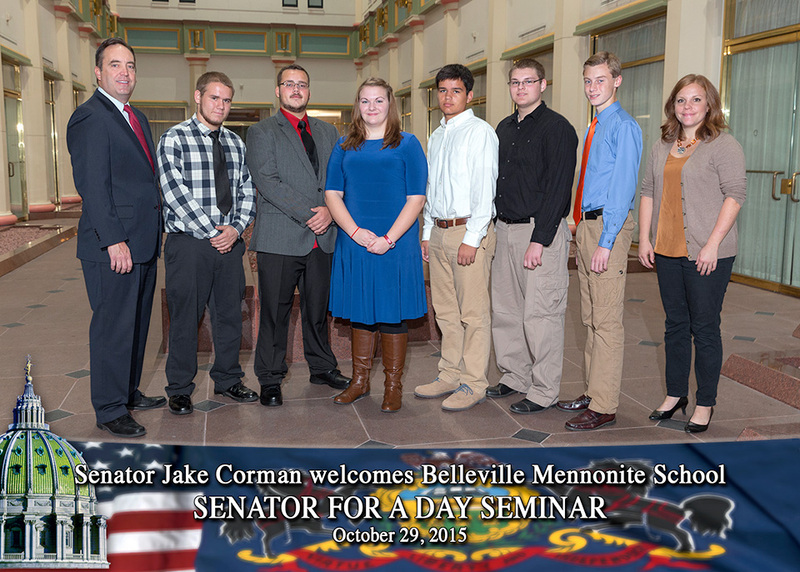 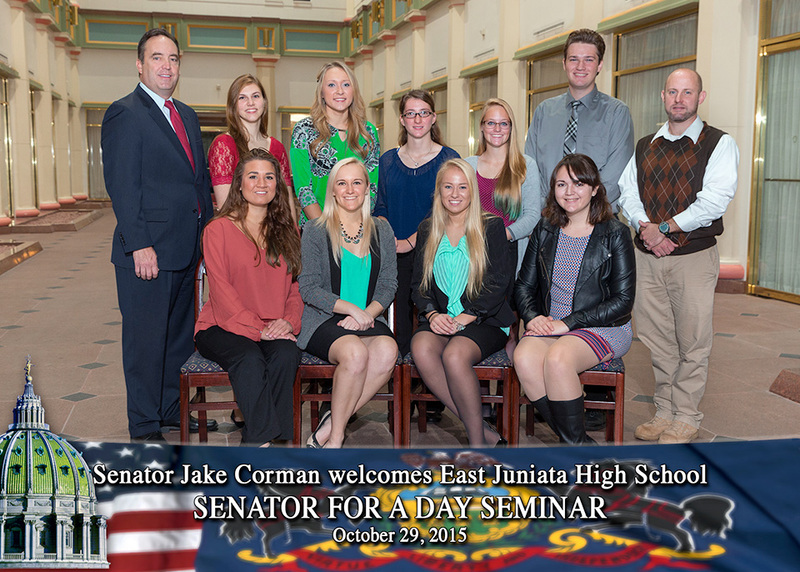 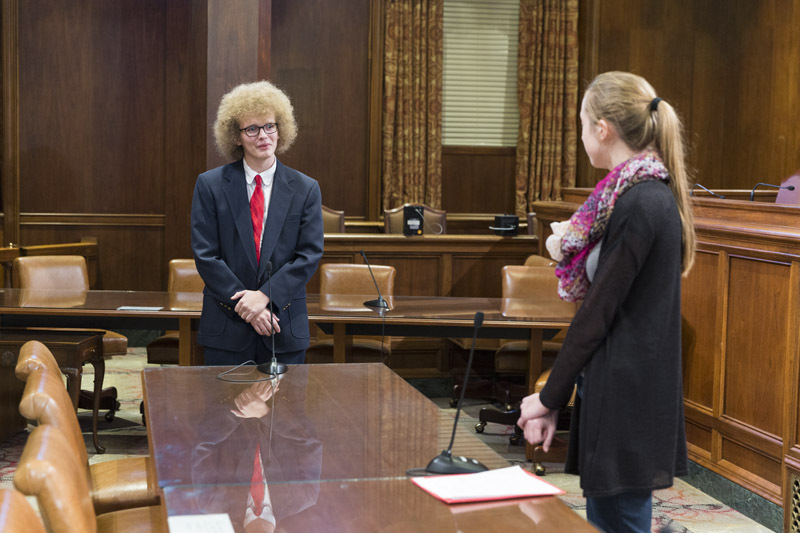 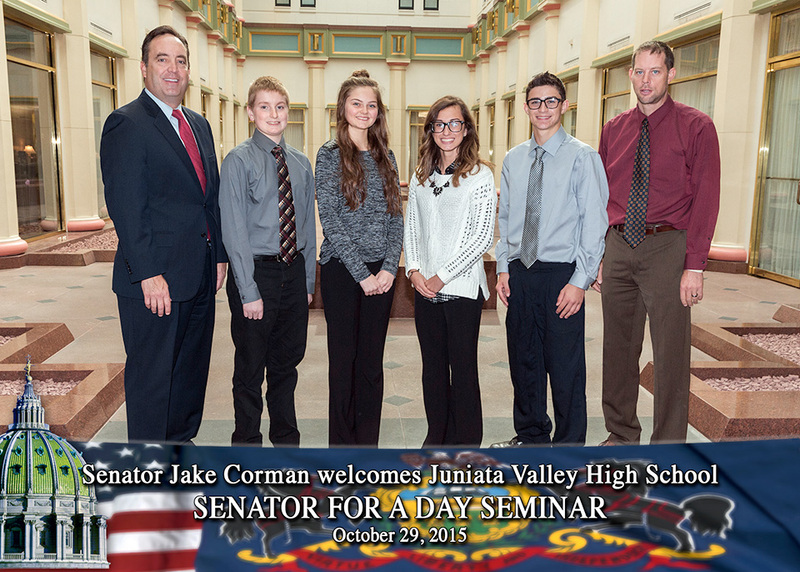 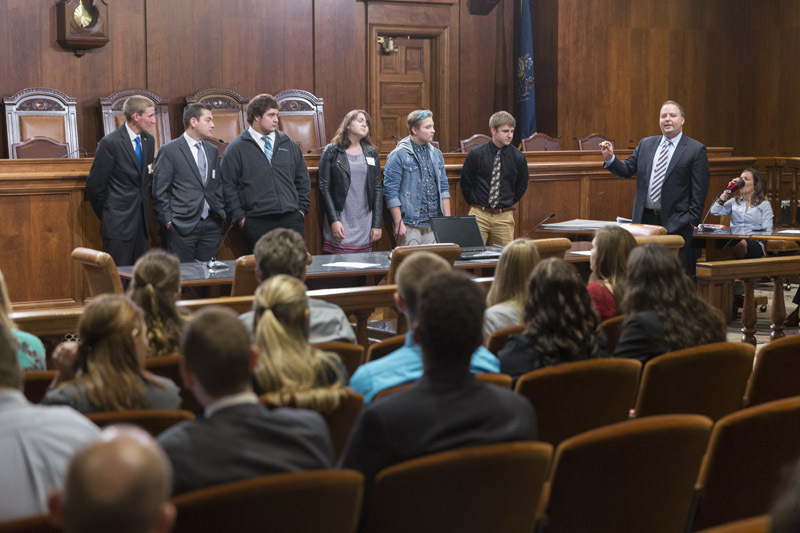 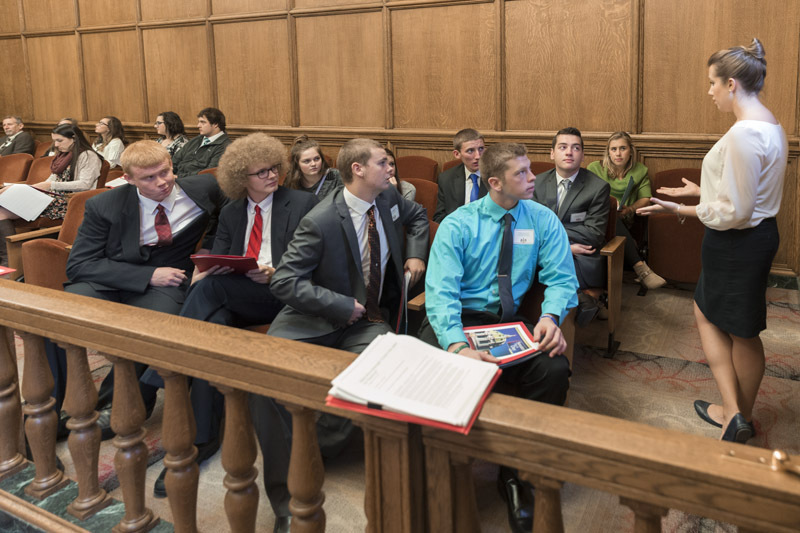 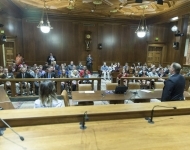 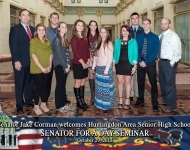 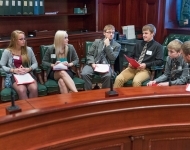 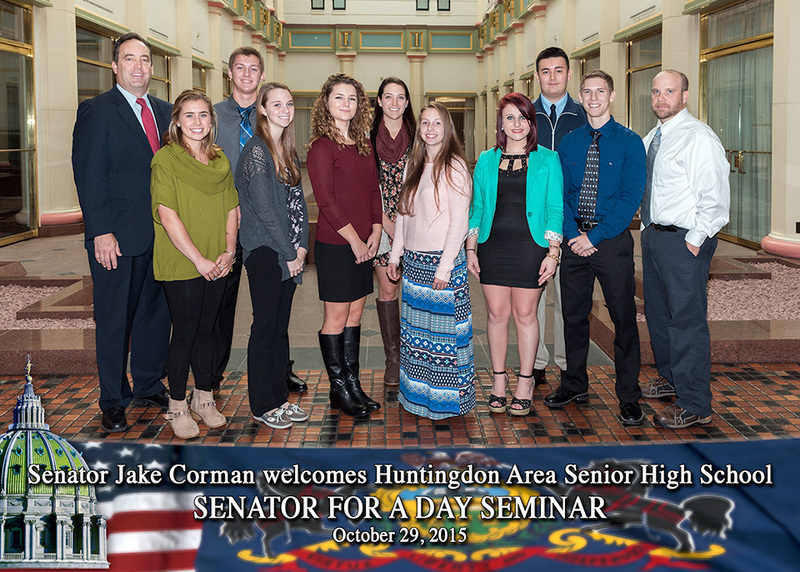 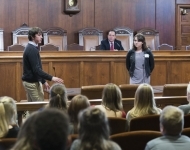 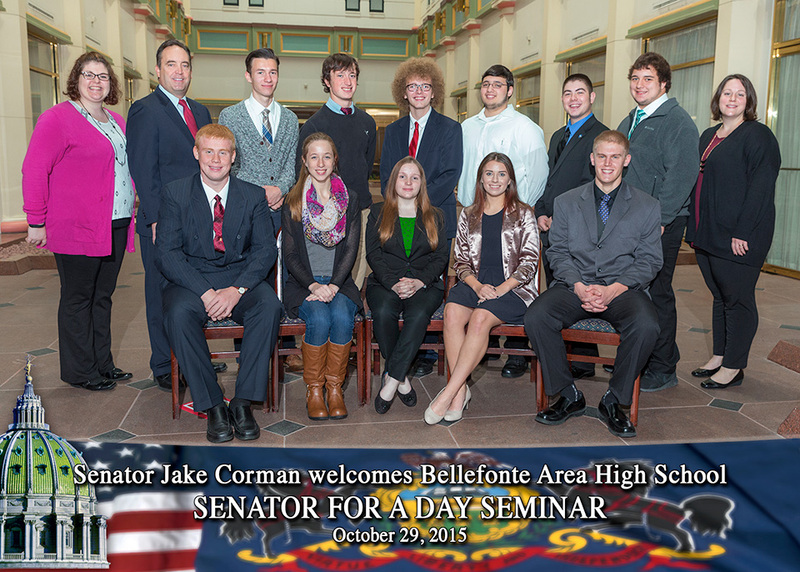 October 29, 2015 - Senator Corman hosted school groups from within the 34th Senatorial District at his annual Senator for a Day event at the Capitol. 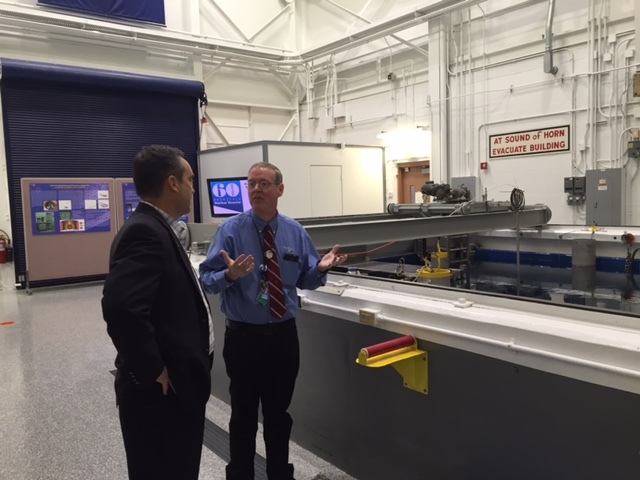 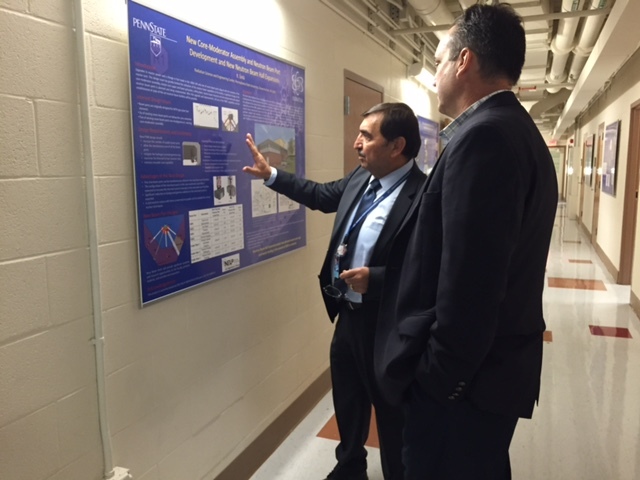 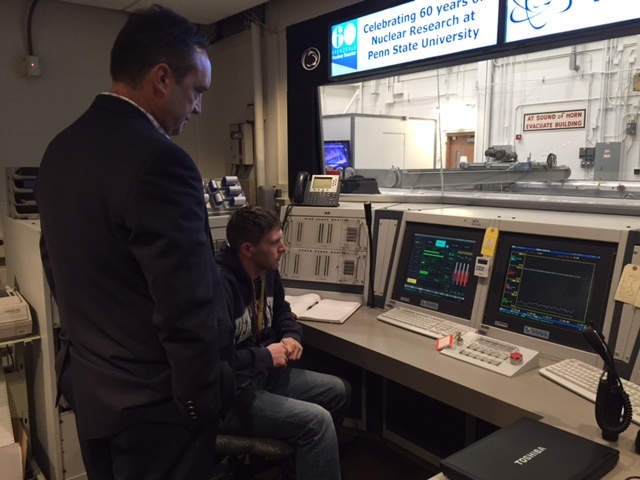 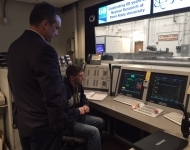 October 23, 2015 – Senator Corman tours the Penn State Breazeale Nuclear Reactor. 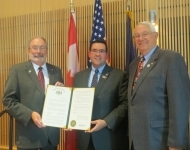 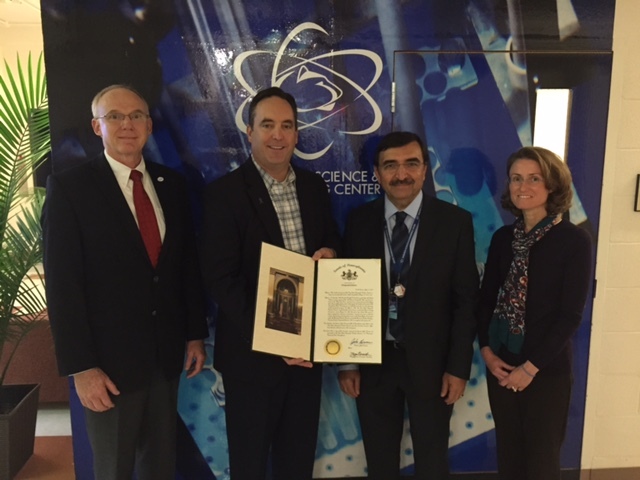 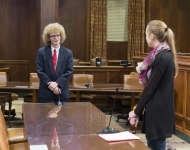 October 23, 2015 - Senator Corman presents a congratulatory citation from the Senate of Pennsylvania this afternoon to Dr. Kenan Unlu, Director of the Radiation Science and Engineering Center; Anthony Atchley, Senior Associate Dean for the College of Engineering; and Theresa Mayer, Associate Dean for Research and Innovation for the College of Engineering commemorating 60 years of nuclear research. 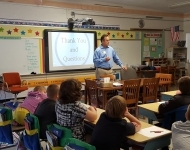 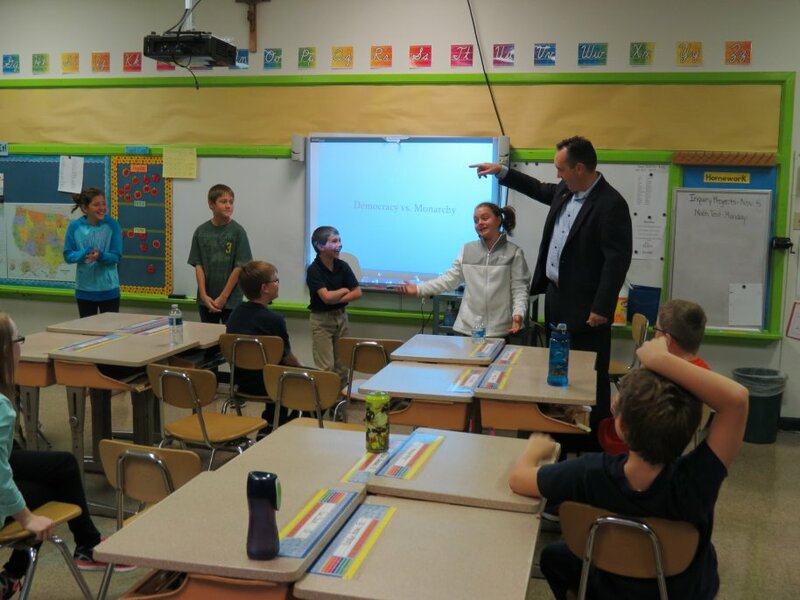 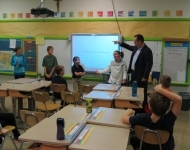 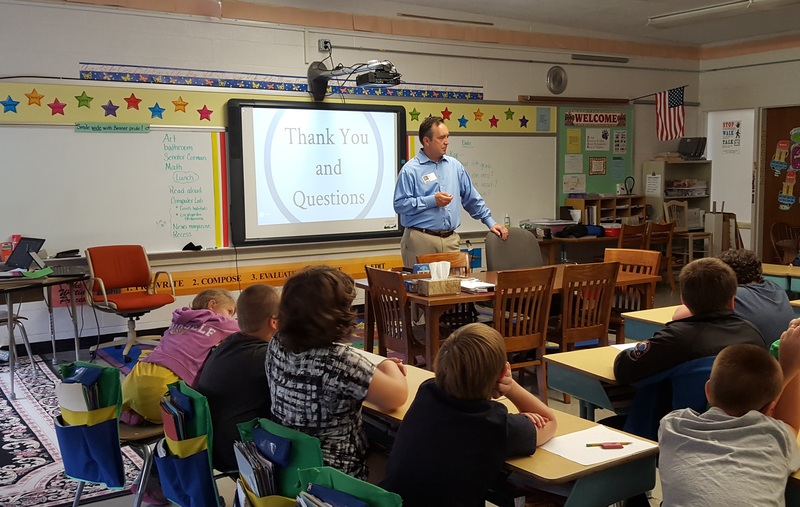 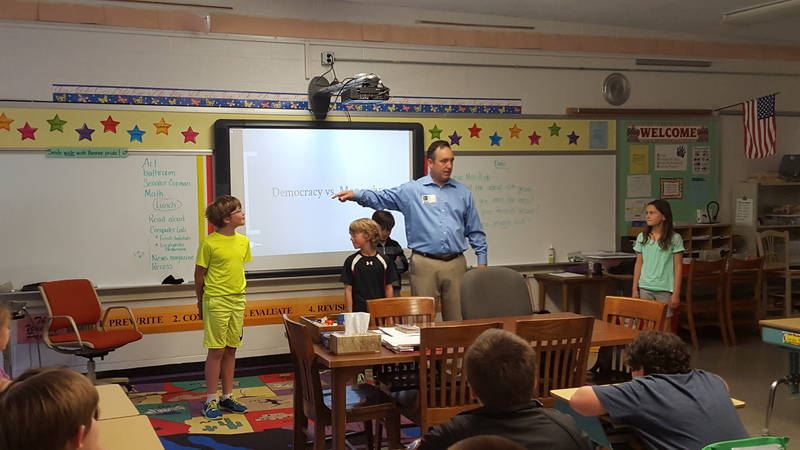 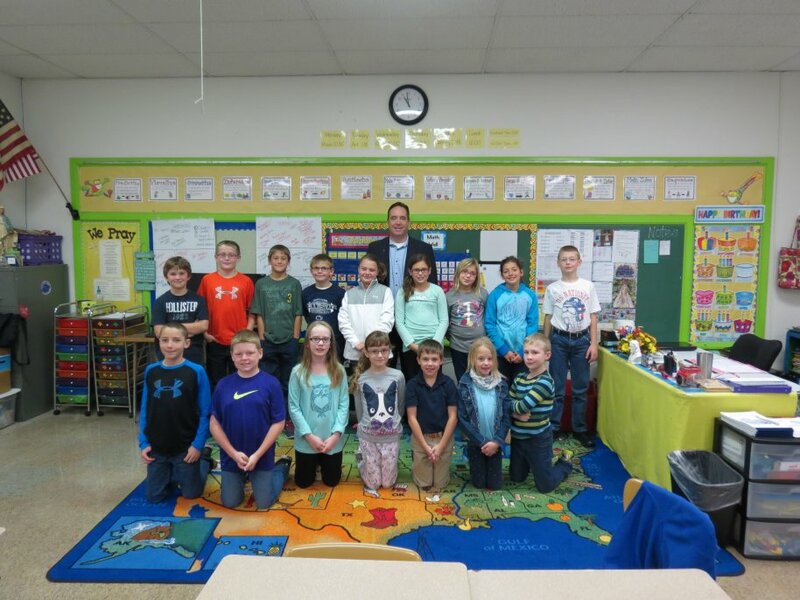 October 16, 2015 - Senator Corman as the guest speaker in Mrs. Russell’s 4th Grade Class at St. John the Evangelist Catholic School in Bellefonte. 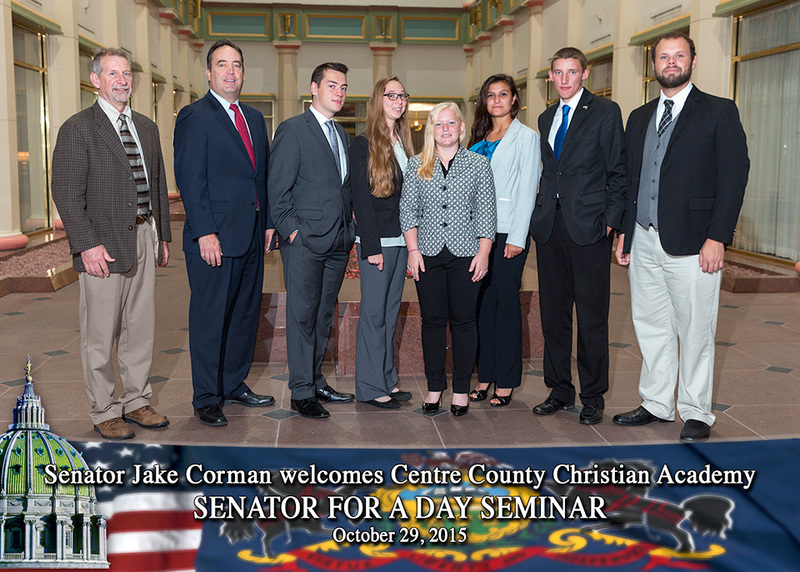 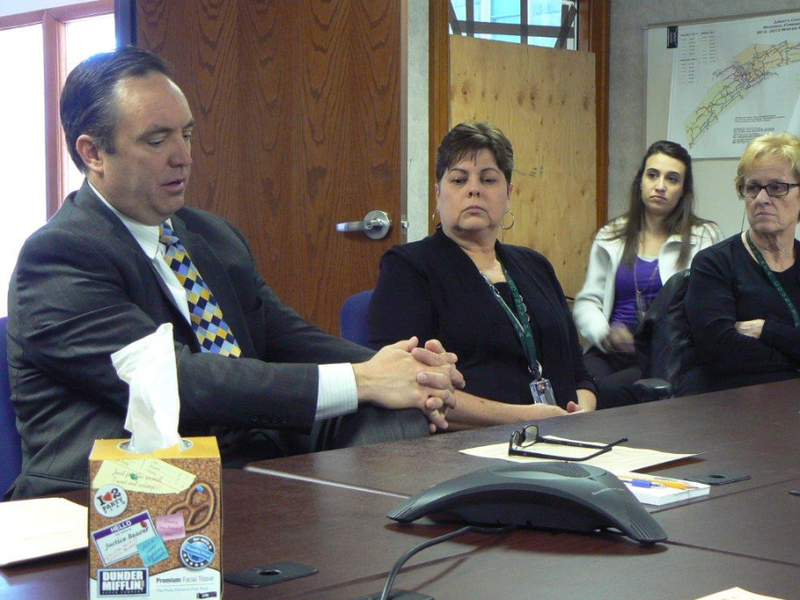 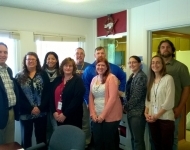 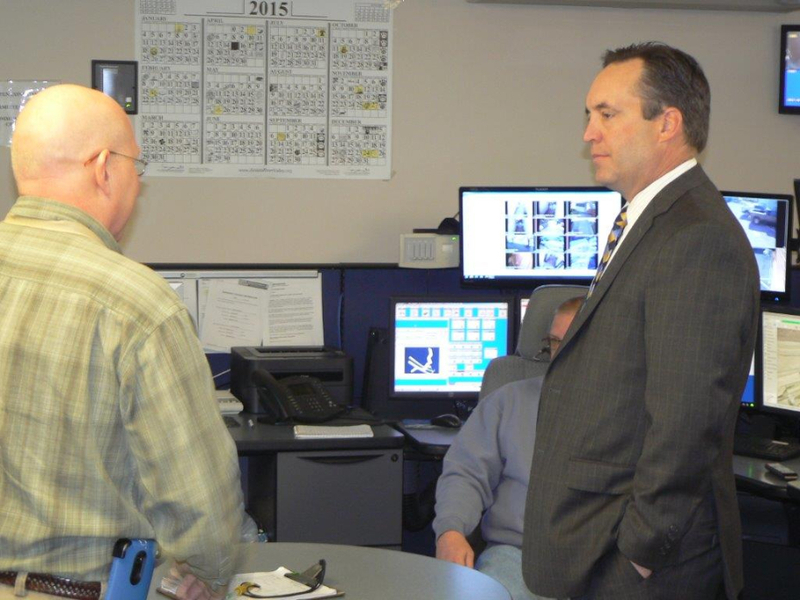 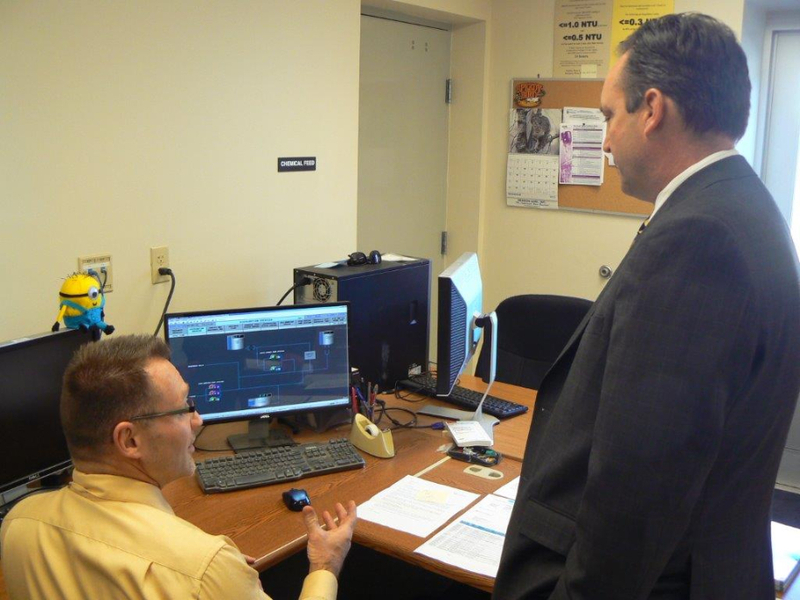 October 2, 2015 - Senator Corman met with the staff at the Veterans Multi-Service Center in State College. 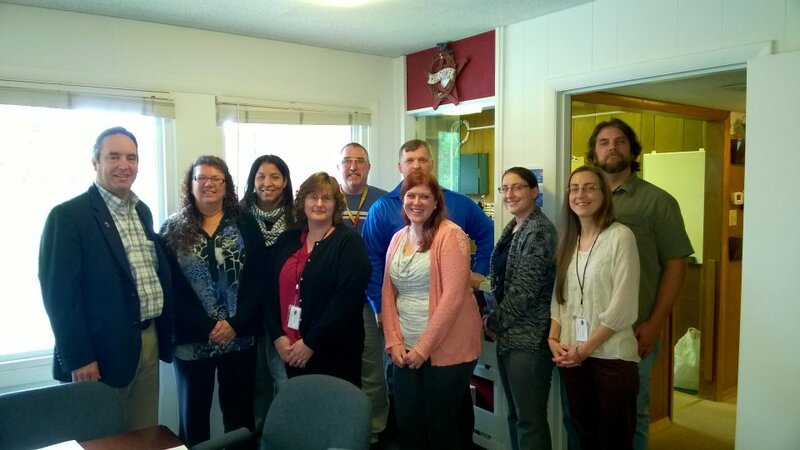 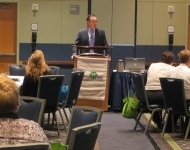 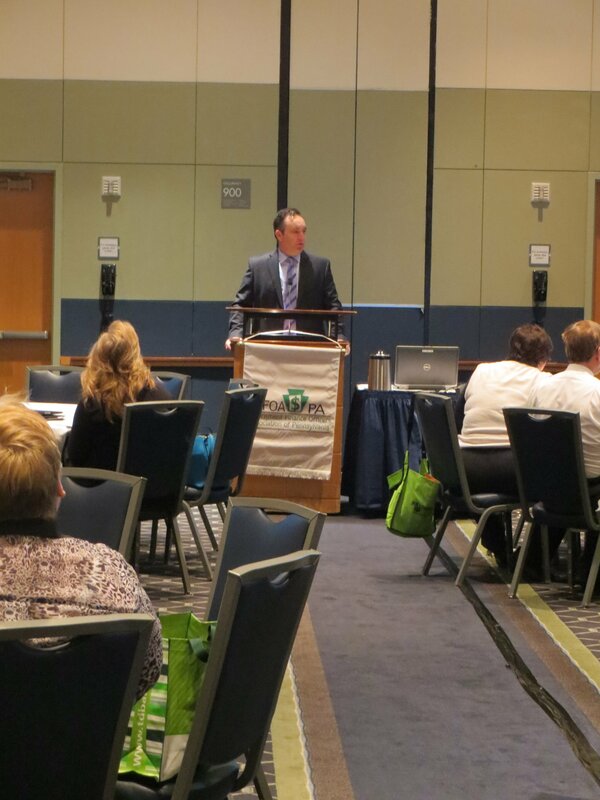 The VMC services 10 counties in central Pennsylvania and provides assistance with VA programs. 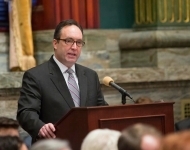 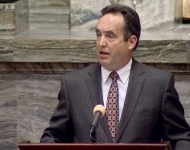 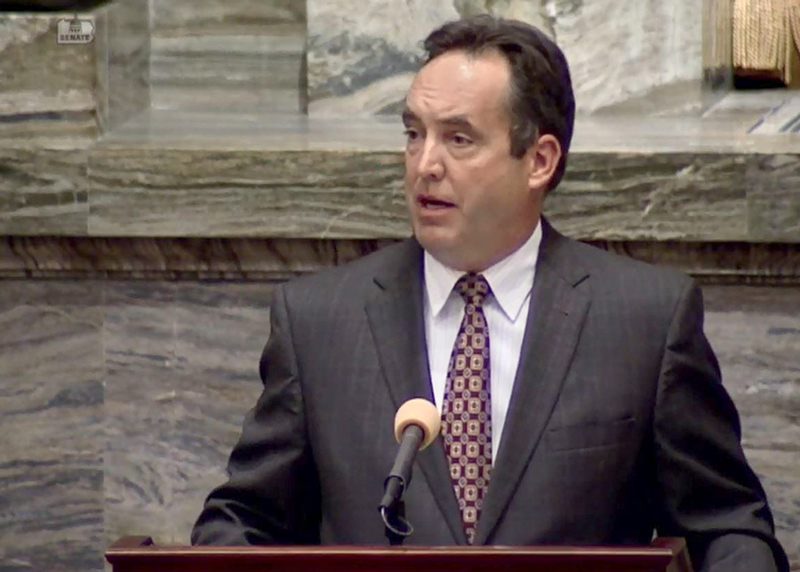 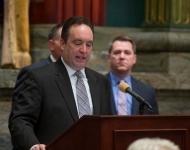 September 30, 2015 - Senator Corman speaks on the Floor of the Senate about the Governor’s decision to Veto emergency funding for schools and social service agencies. 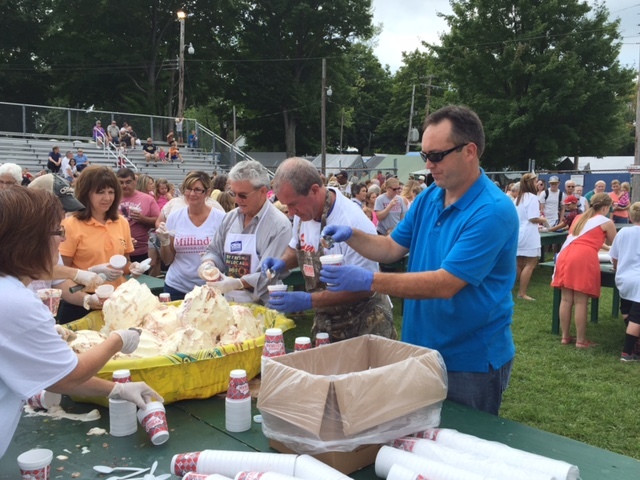 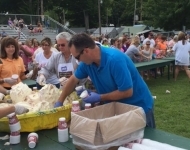 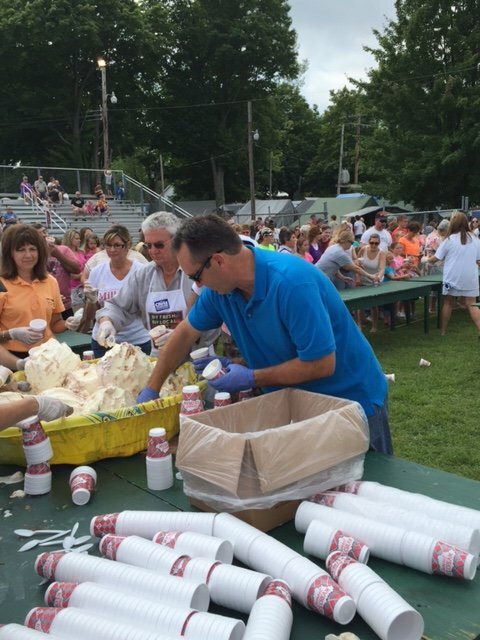 August 24, 2015 - Senator Corman joins other local and state elected officials serving at the annual Giant Ice Cream Sundae at Kid’s Day at the Grange Fair in Centre County. 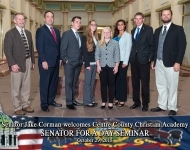 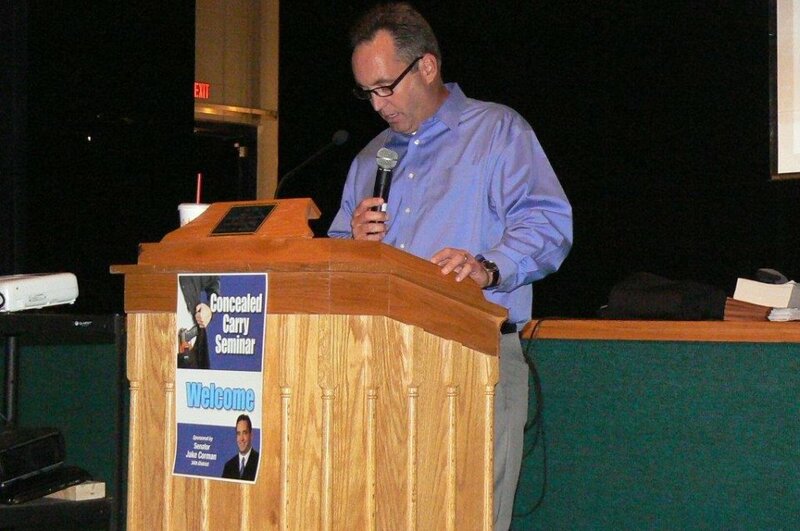 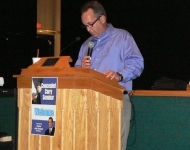 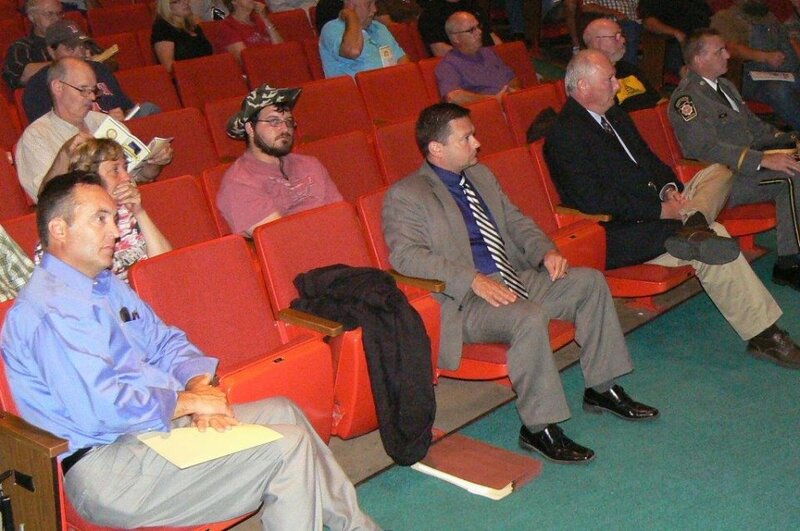 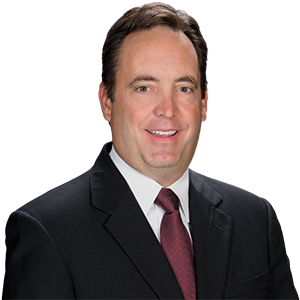 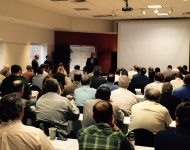 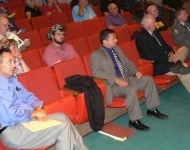 August 19, 2015 Senator Corman hosted a Concealed Carry Seminar in Mifflin County. 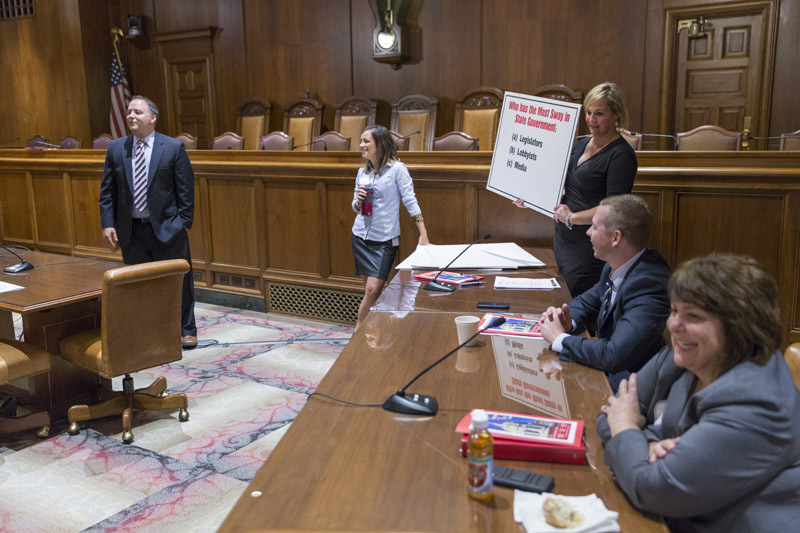 On hand to answer constituent questions were Juniata County District Attorney Cory Snook, Mifflin County Sheriff Christopher Shade and PA State Police Captain Maynard Gray. 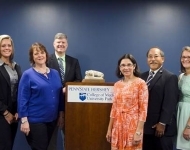 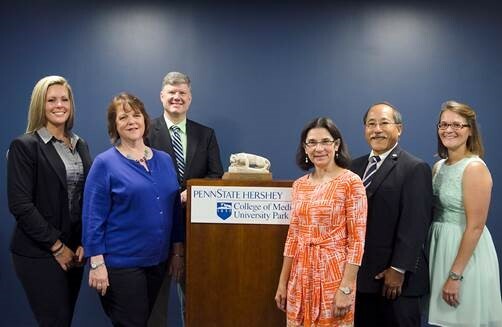 August 19, 2015 - Congratulations to the Penn State University College of Medicine upon the ribbon cutting of the new Student Learning Center at their regional campus. 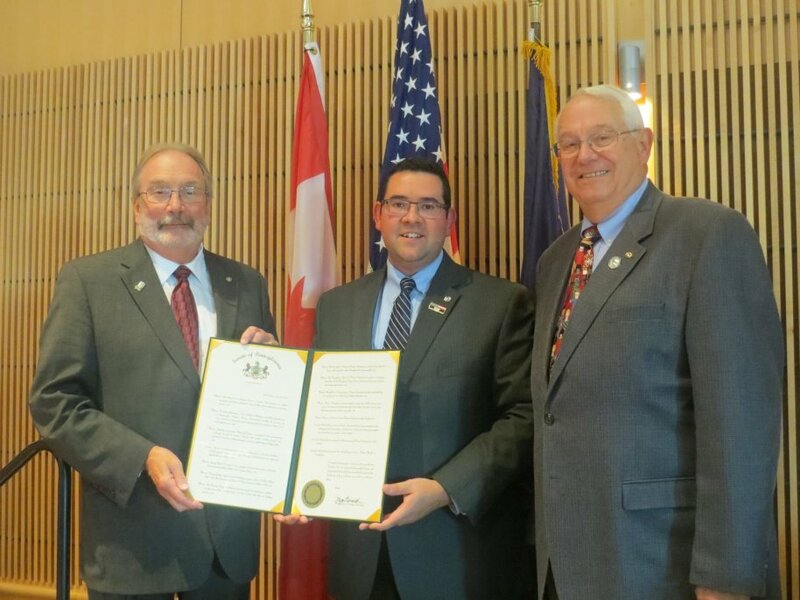 August 15, 2015 - Matt Wise, Field Representative for Senator Corman, presents a copy of Senate Resolution 167 to Kiwanis International President Dr. John Button and Pennsylvania District Kiwanis Governor Bob Raub marking August as Kiwanis Month in Pennsylvania and commemorating the 100th Anniversary of Kiwanis. 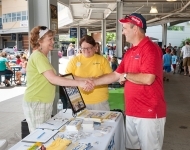 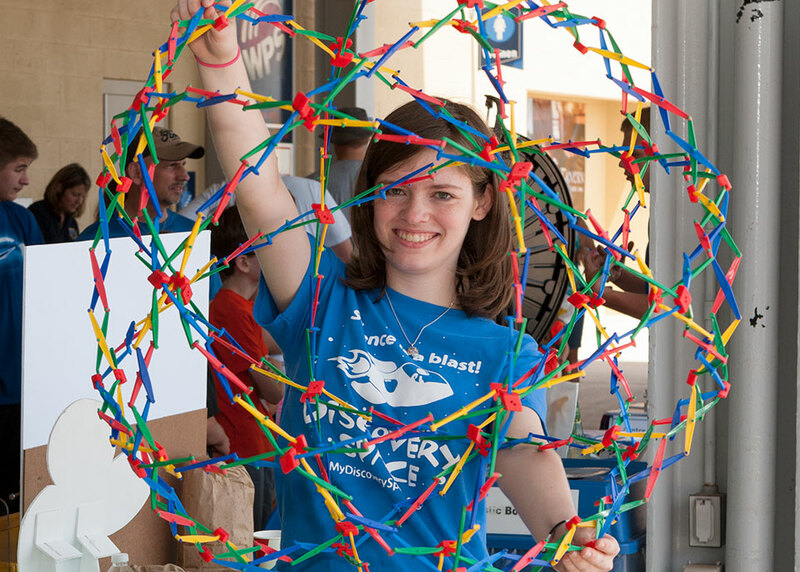 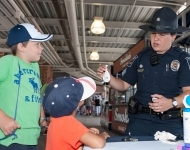 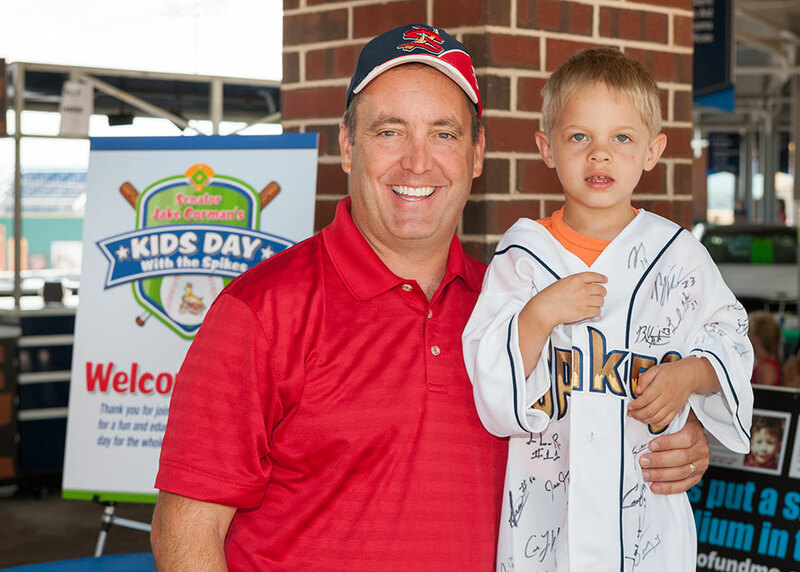 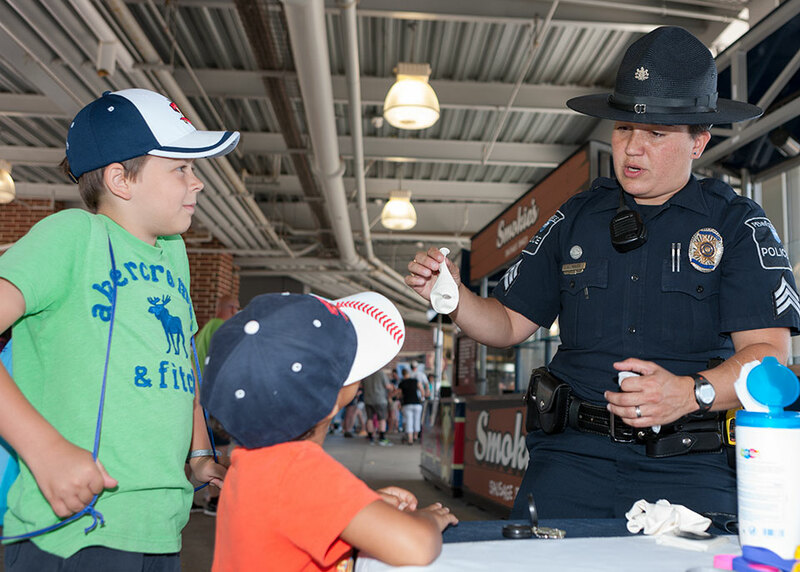 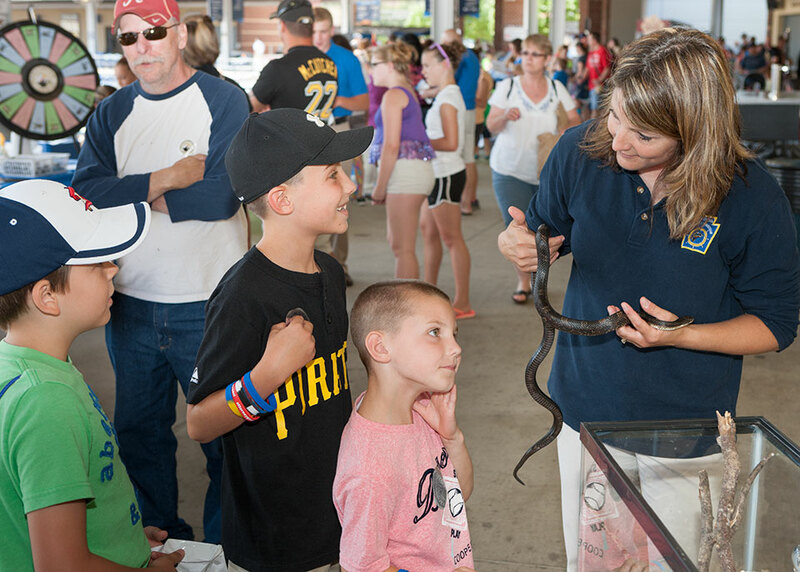 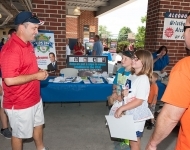 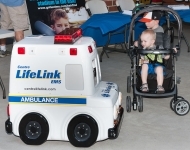 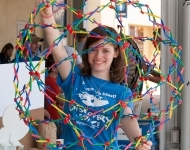 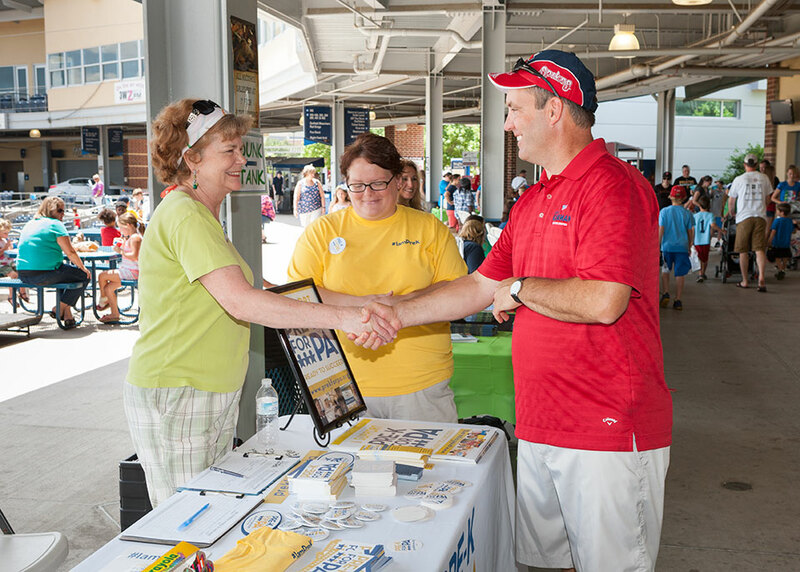 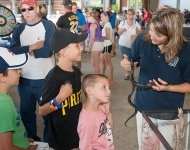 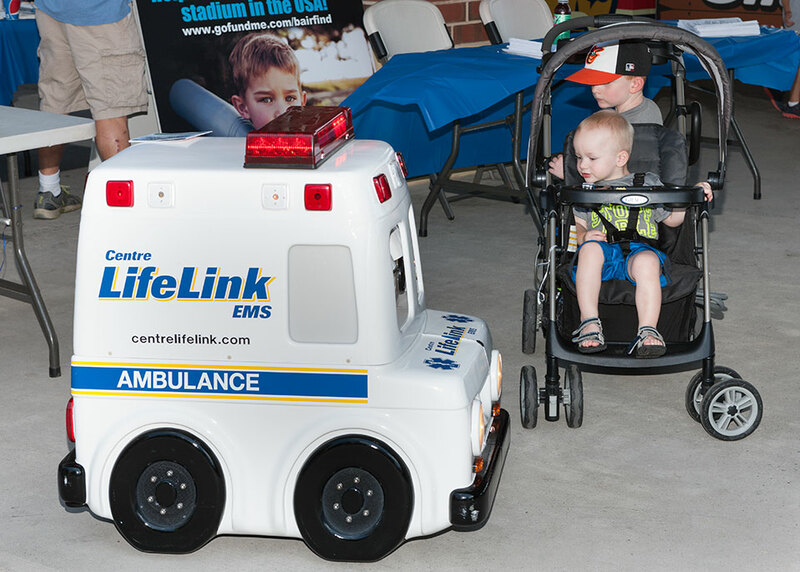 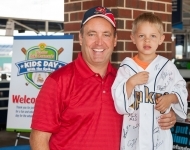 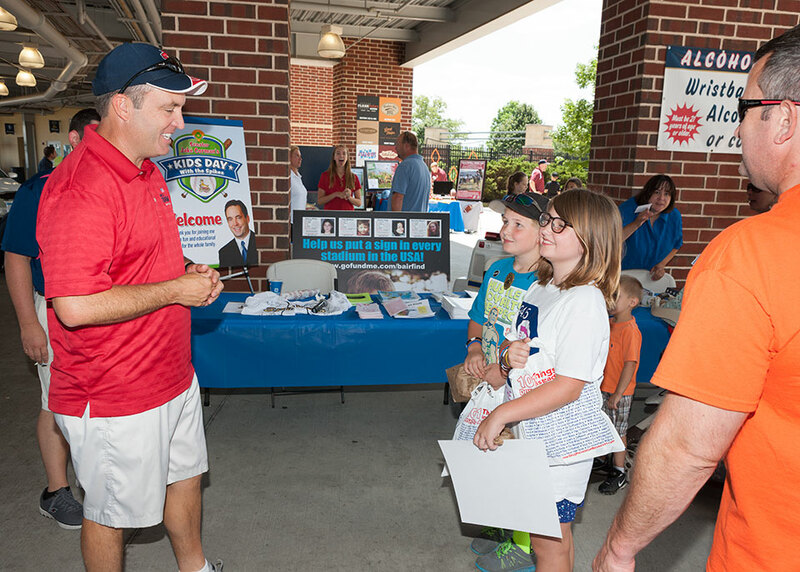 July 11, 2015 - Senator Corman’s Kids Day with the State College Spikes! 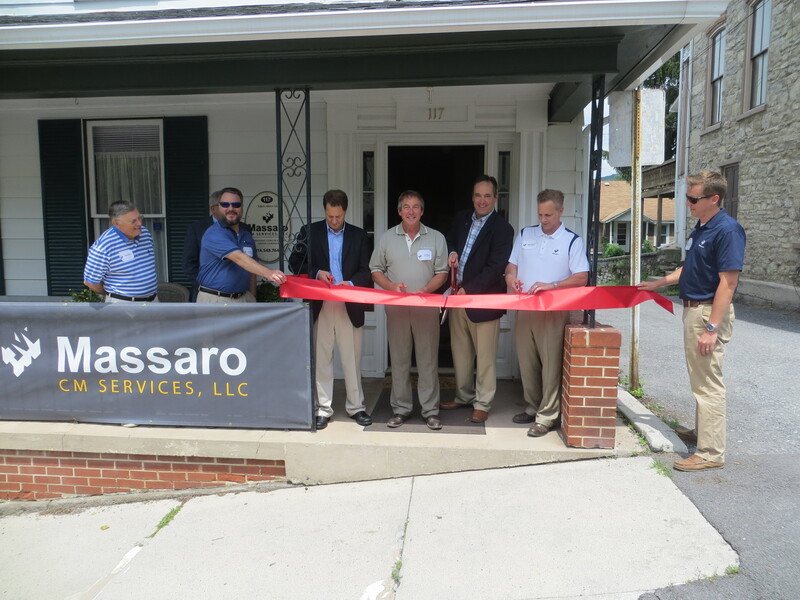 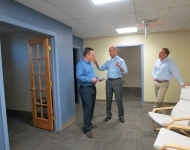 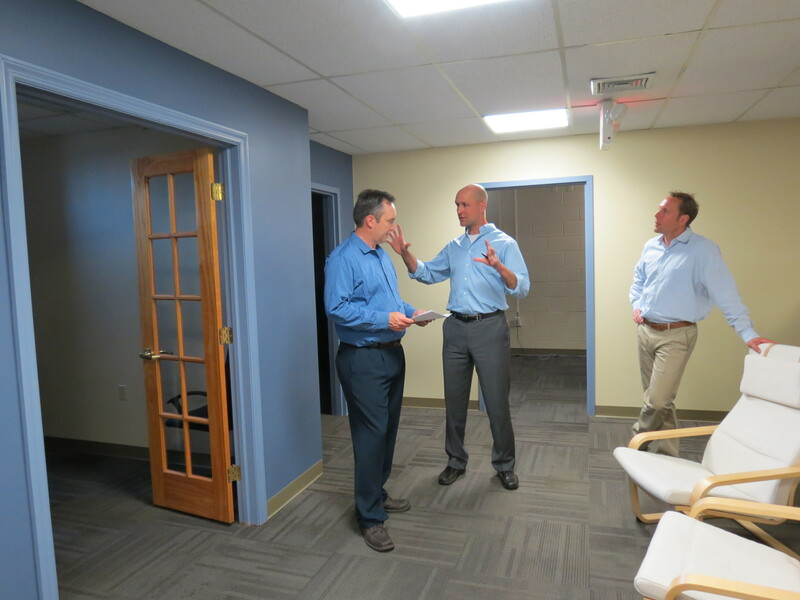 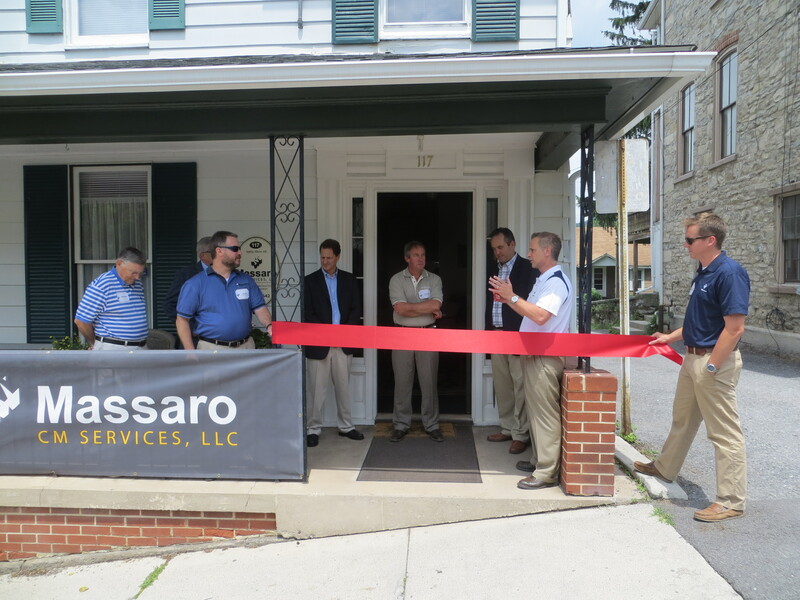 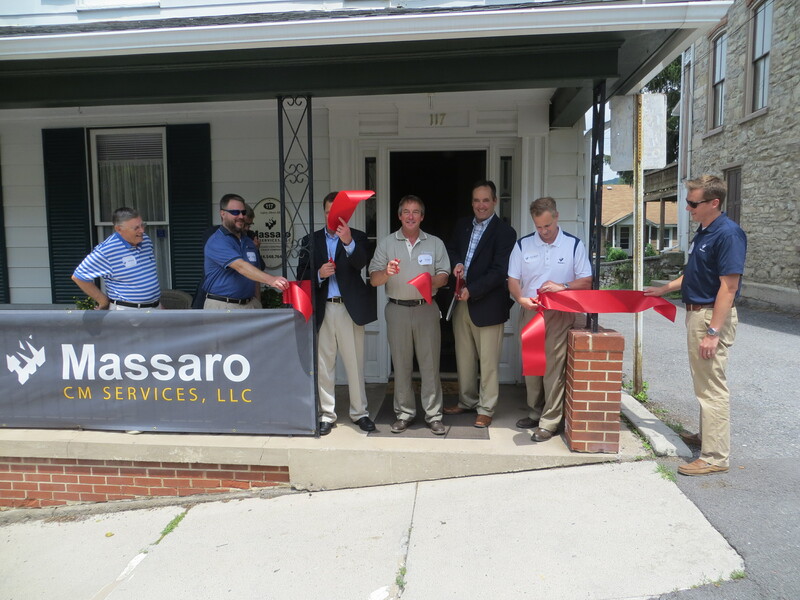 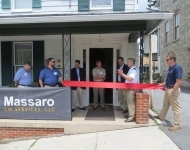 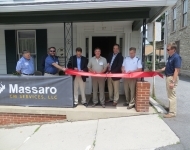 June 19, 2015 - Senator Corman attends the Ribbon Cutting for the Massaro Construction Group new Bellefonte Headquarters. 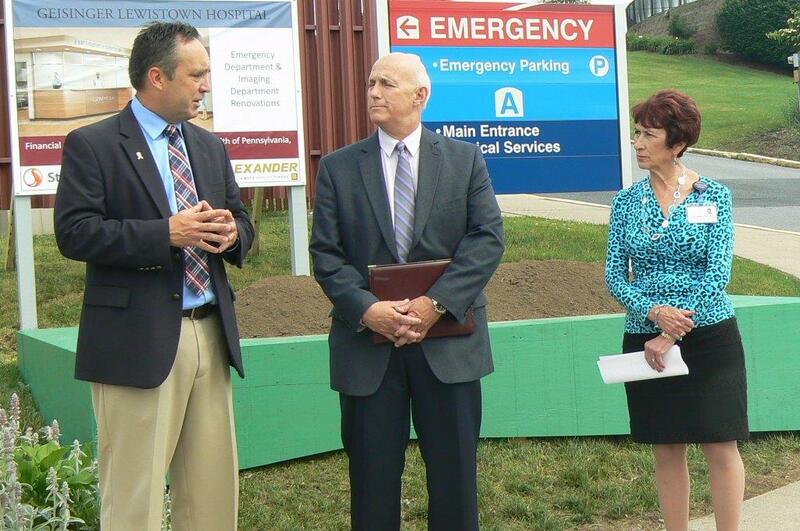 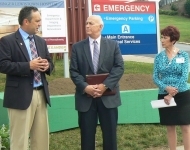 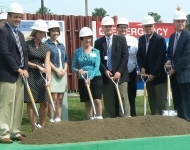 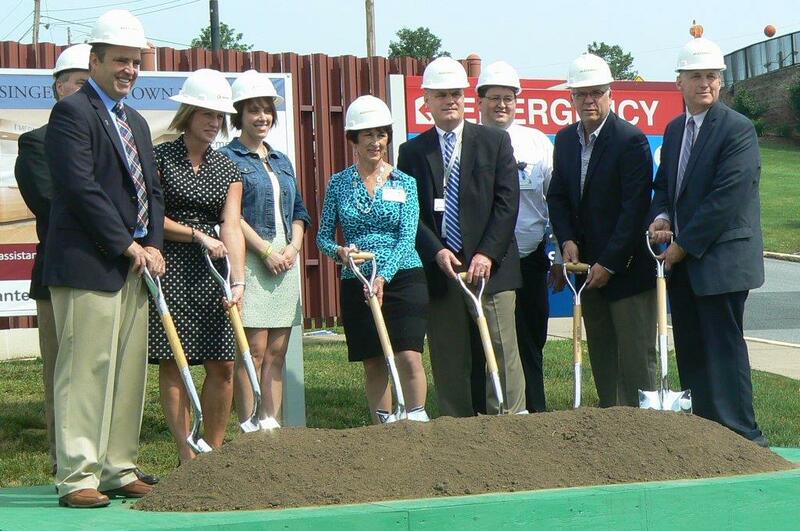 June 11, 2015 - Senator Corman attends Geisinger-Lewistown Hospital Groundbreaking for Emergency and Imaging Departments Renovations. 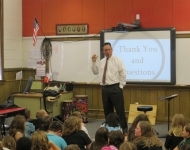 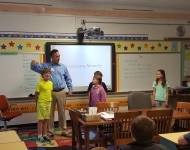 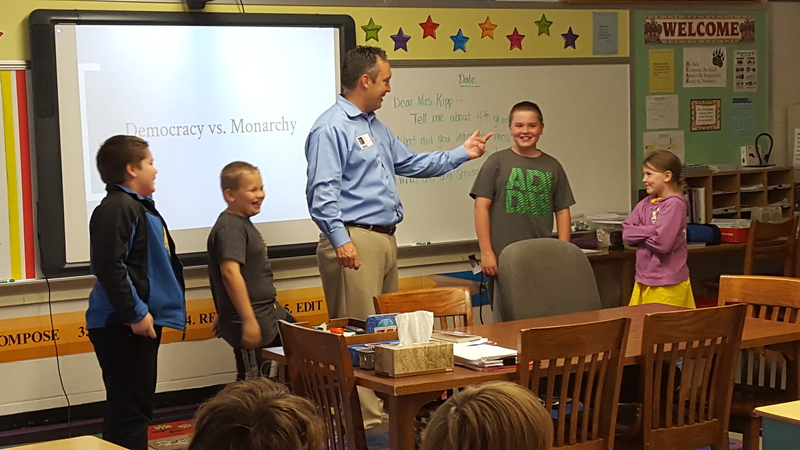 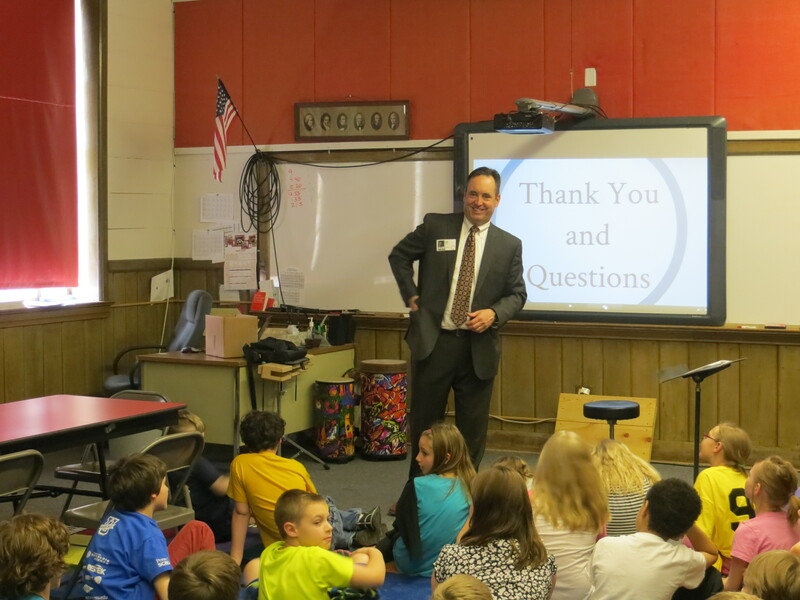 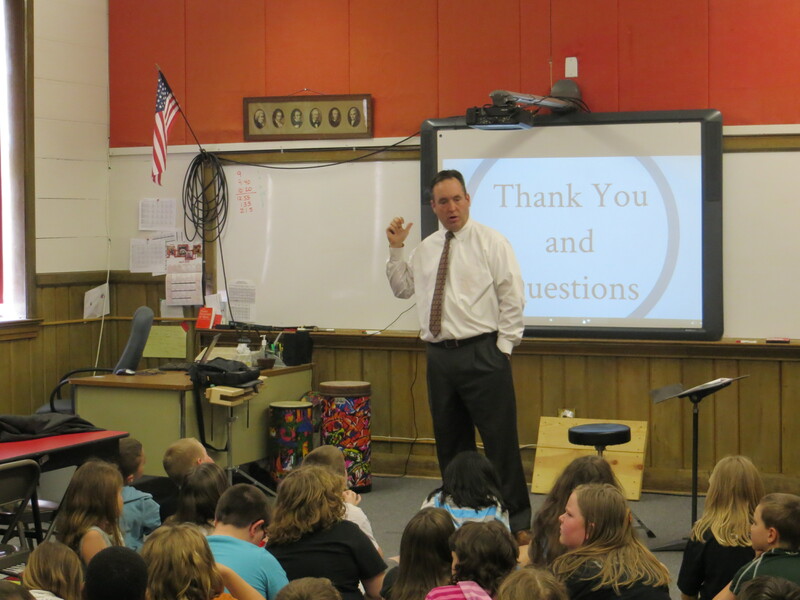 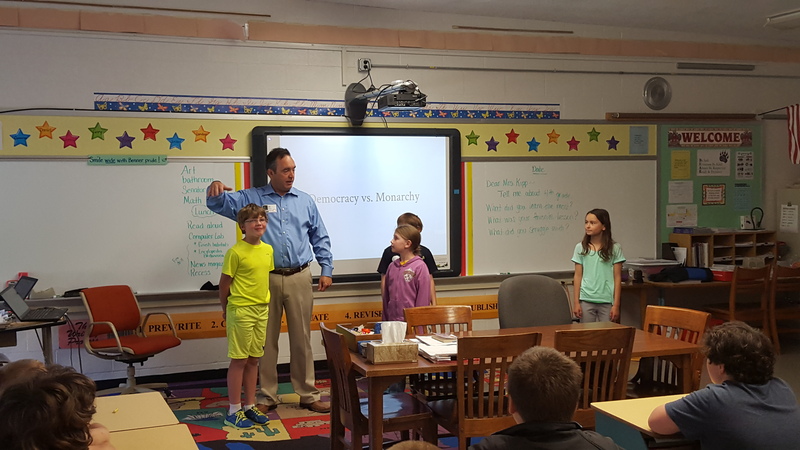 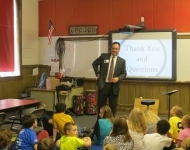 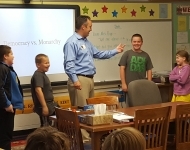 June 4, 2015 - Senator Corman visits his son’s 4th grade class of Mrs. Kipp at Benner Elementary to discuss Government and his role as a State Senator. 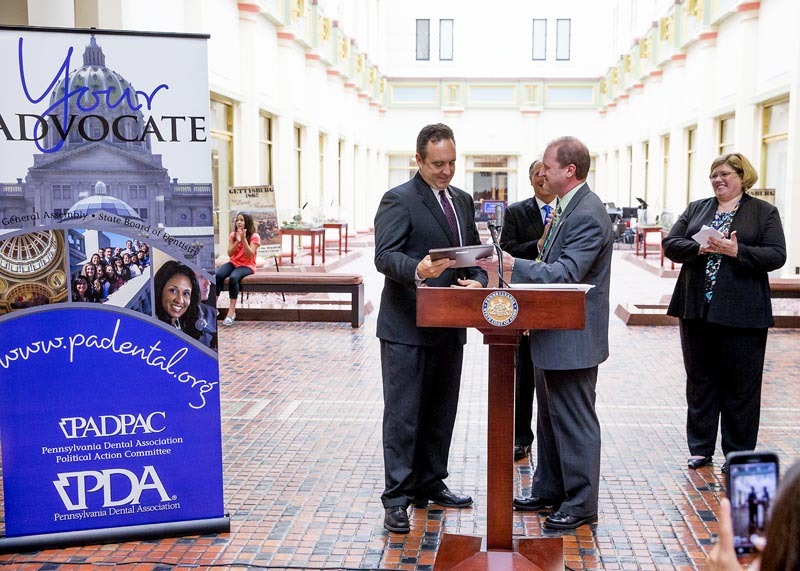 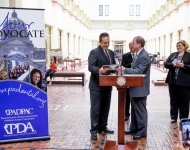 June 2, 2015 - Senator Corman receives the Kay F. Thompson Outstanding Legislator Award from the Pennsylvania Dental Association during their advocacy days at the Capitol. 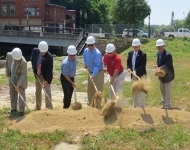 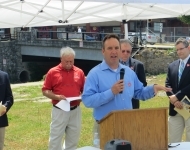 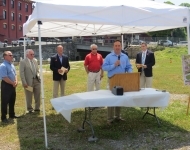 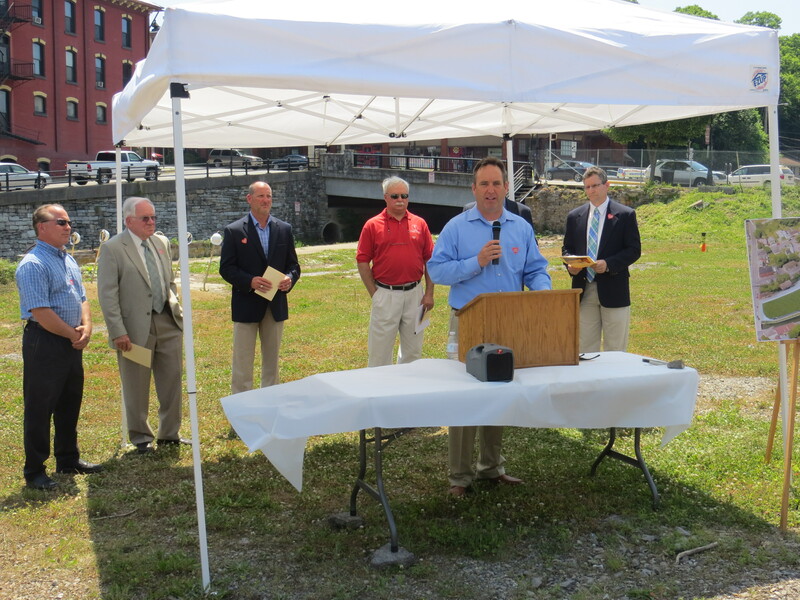 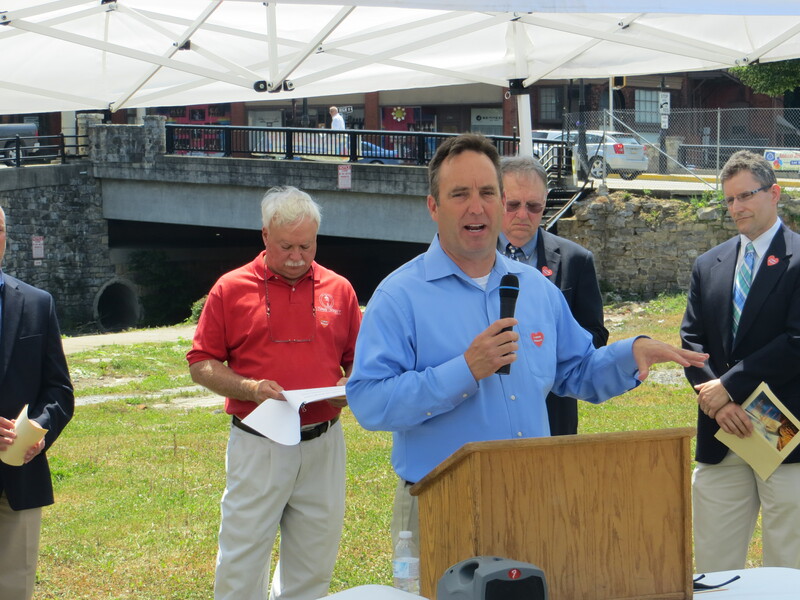 May 29, 2015 - Senator Corman attending the Groundbreaking ceremony for the Bellefonte Waterfront Project on the site of the former Bush House in Downtown Bellefonte. 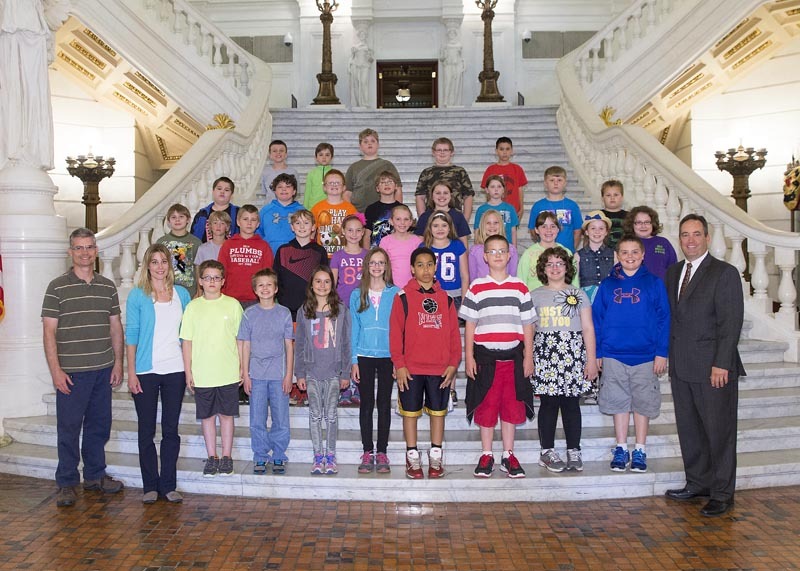 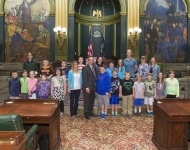 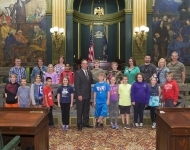 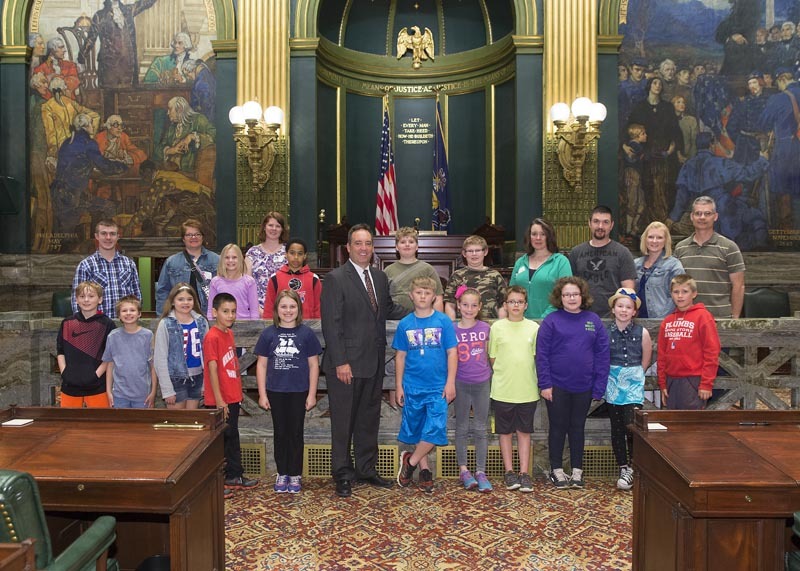 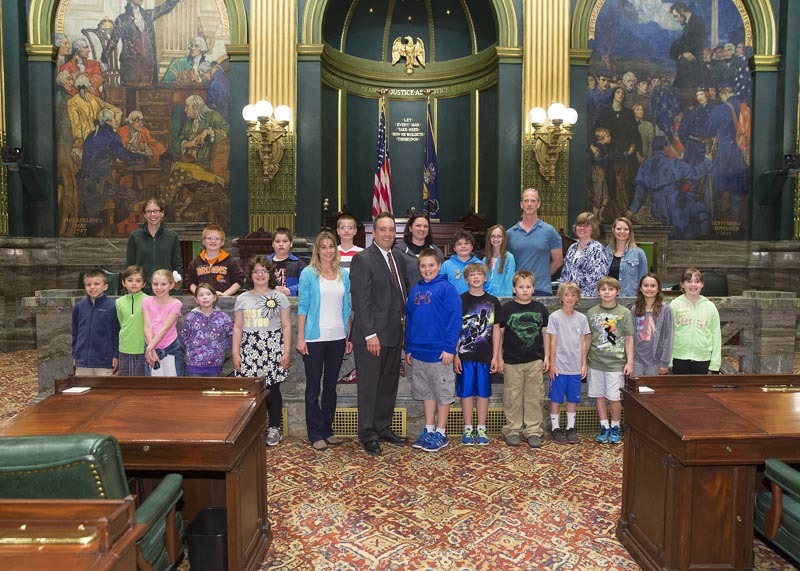 April 20, 2015 - Senator Corman greets the fourth grade students from Benner Elementary School in Centre County as they visit the PA Capitol. 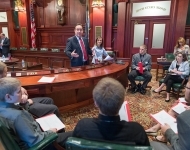 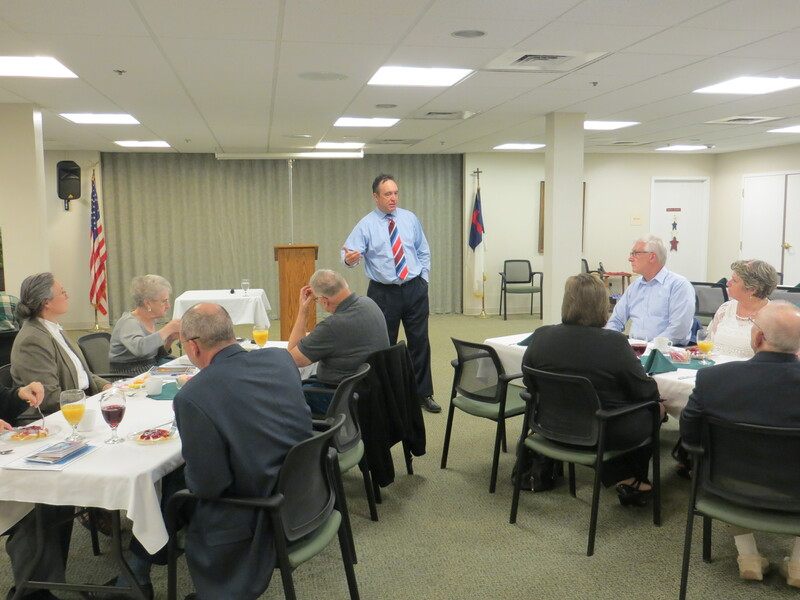 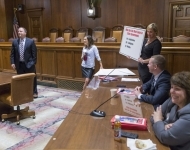 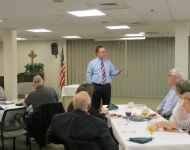 May 8, 2015 - Senator Corman met with representatives from Fight Crime: Invest In Kids - Pennsylvania, Mission: Readiness - Military Leaders for Kids, Pre-K for PA, Nittany Kiwanis CLUB, and Chief Tom King of the State College Police Department at the St. Paul's Christian Preschool and Childcare to participate in a round table discussion about the importance of early learning in the lives of our young children. 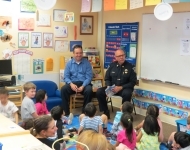 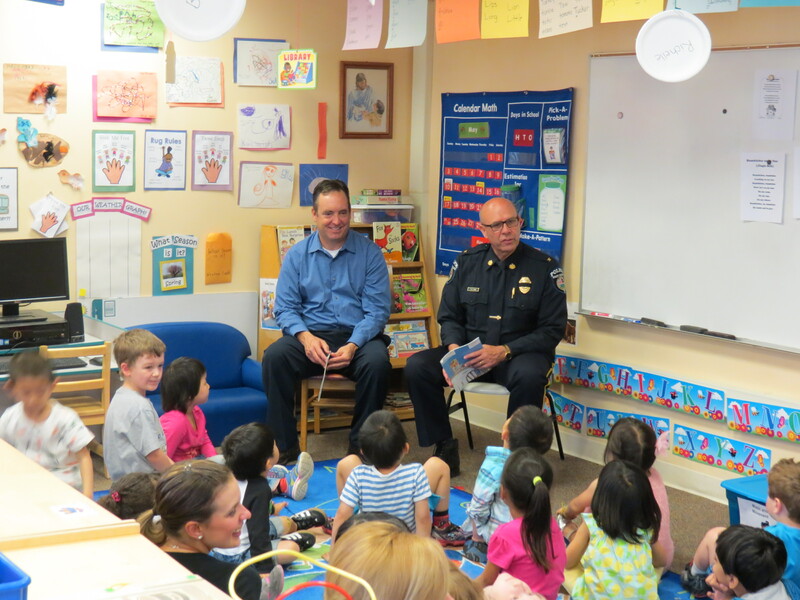 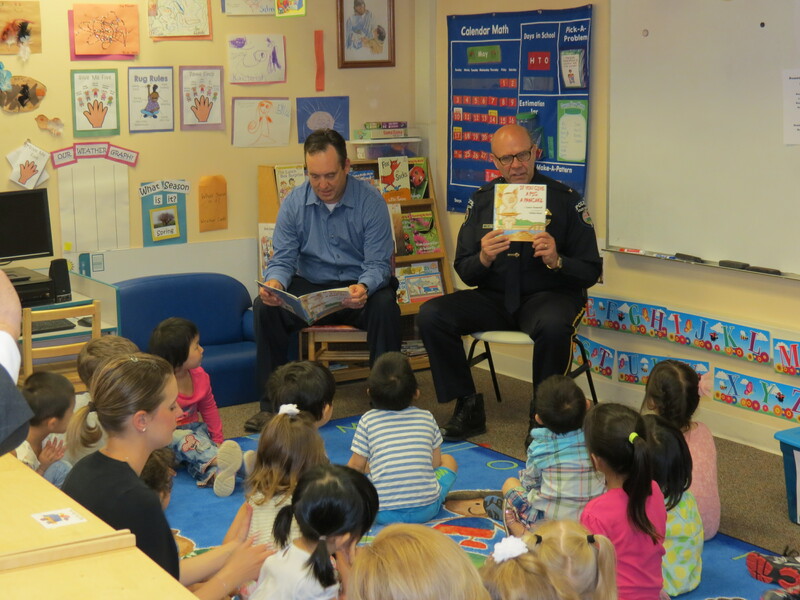 After the meeting, Chief King and Senator Corman read a book to the preschool class at St. Paul's. 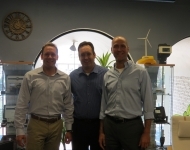 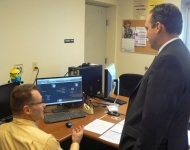 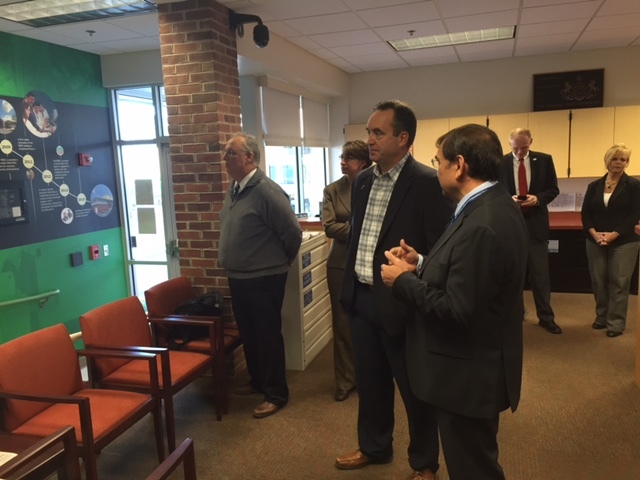 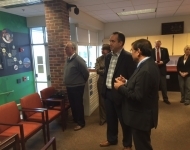 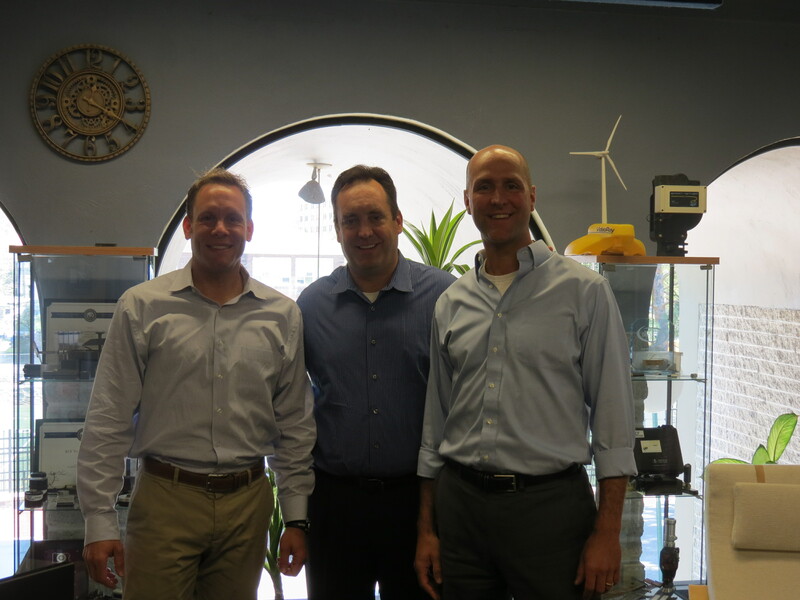 May 8, 2015 - Senator Corman tours KCF Technologies in State College. 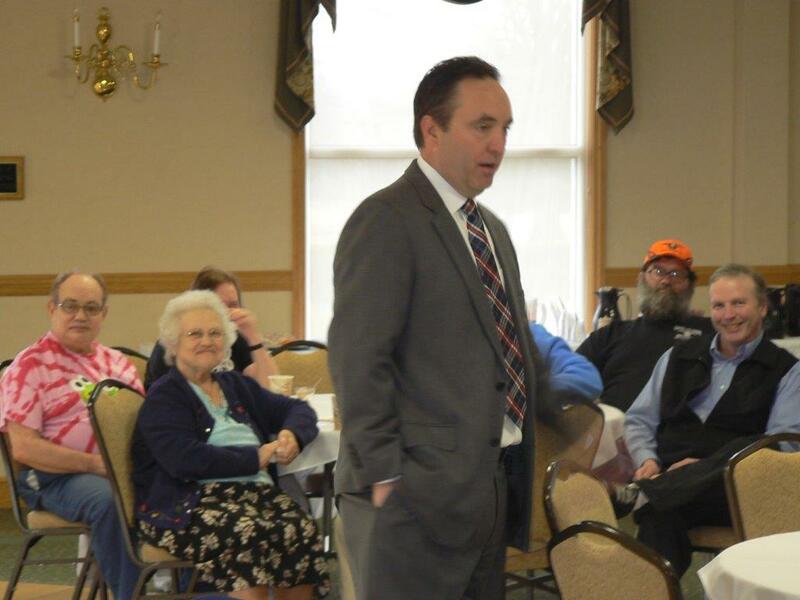 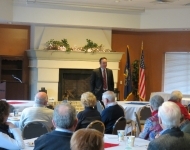 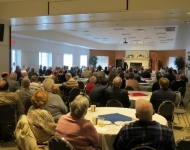 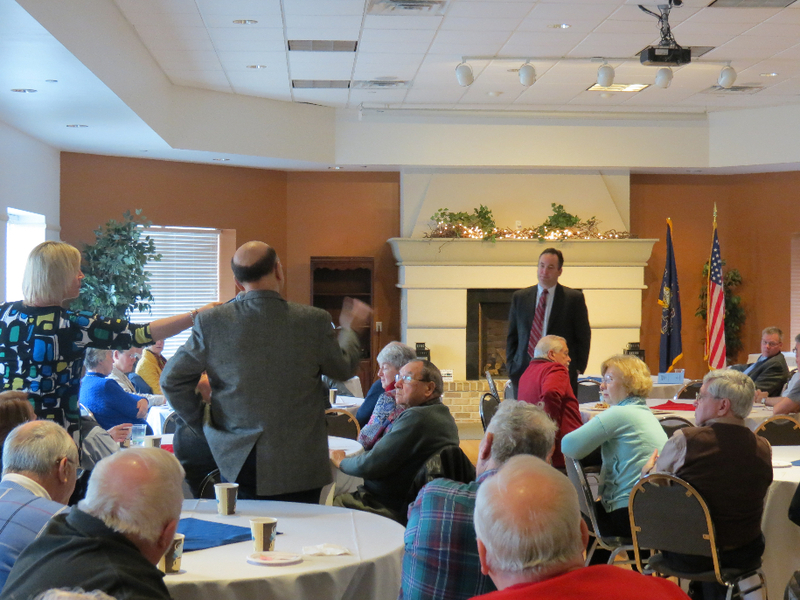 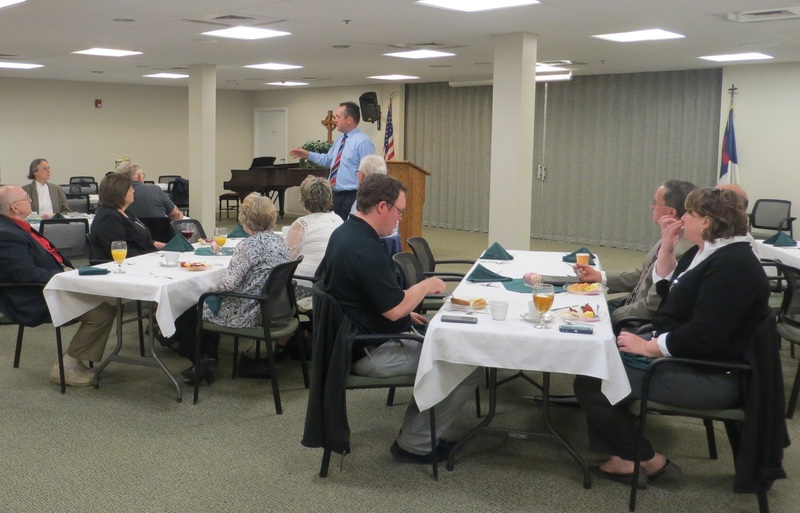 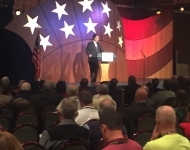 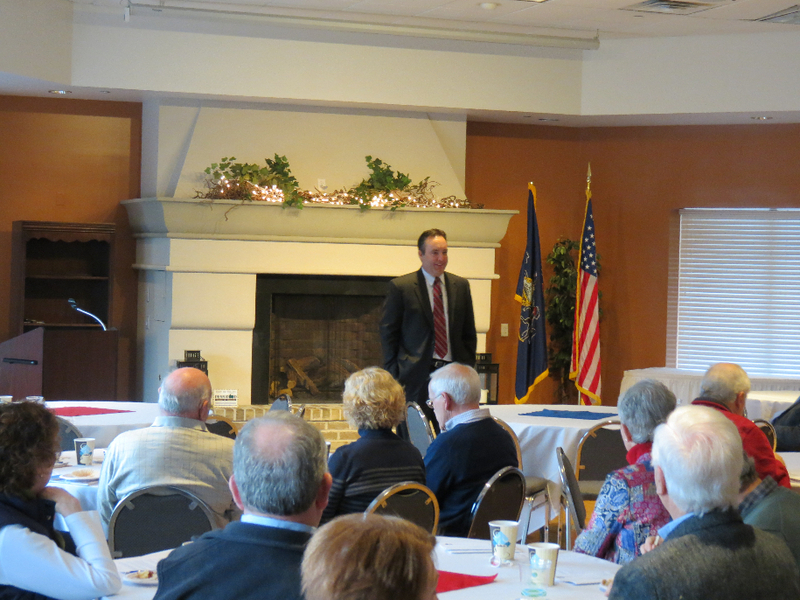 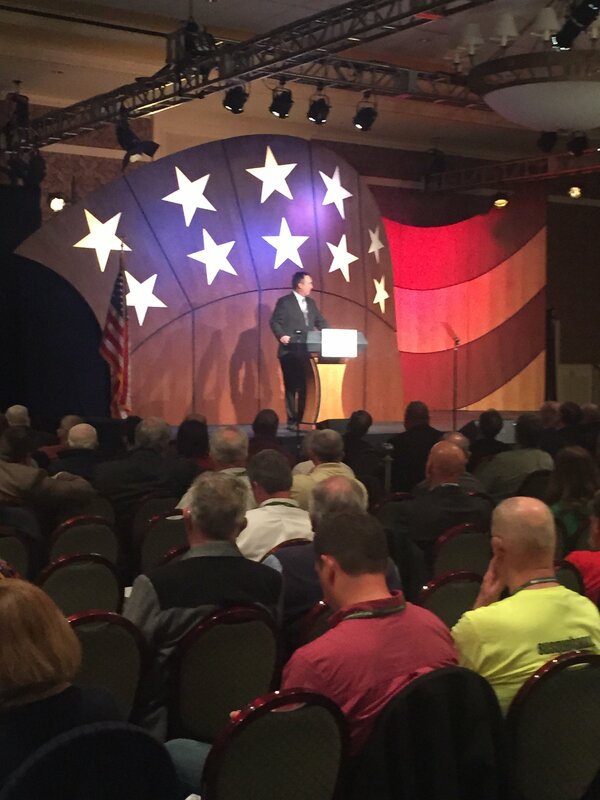 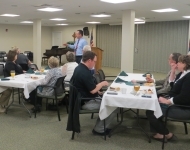 Senator Corman meets with constituents during a Town Meeting at Windy Hill Village in Philipsburg, PA.
April 27, 2015 – Senator Corman addressed the Government Finance Officers Association of Pennsylvania at their annual conference held at the Penn Stater. 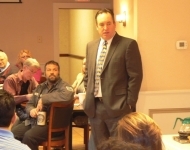 April 23, 2015 – Senator Corman meets with constituents at his Juniata County Town Meeting in Mifflintown, PA.
April 20, 2015 - Senator Corman addressing the annual conference of the Pennsylvania State Association of Township Supervisors. 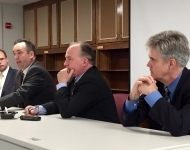 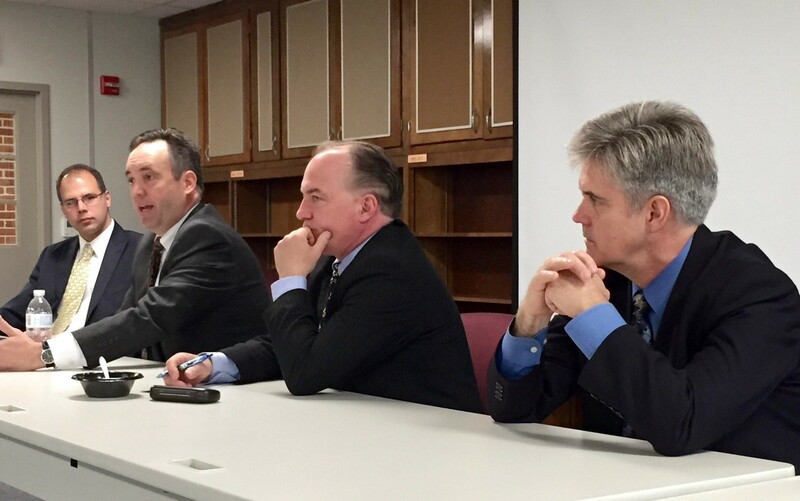 Senator Corman, along with State Representatives Benninghoff, Irvin and Conklin, address representatives from school districts and boards around Centre County on Friday 4/17. 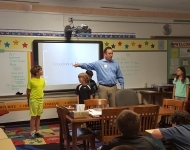 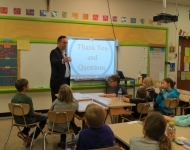 April 17, 2015 - Senator Corman as the guest speaker to the 4th Grade Classes at Bellefonte Elementary school where he gave a virtual tour of the State Capitol and answered questions about his role as a State Senator. 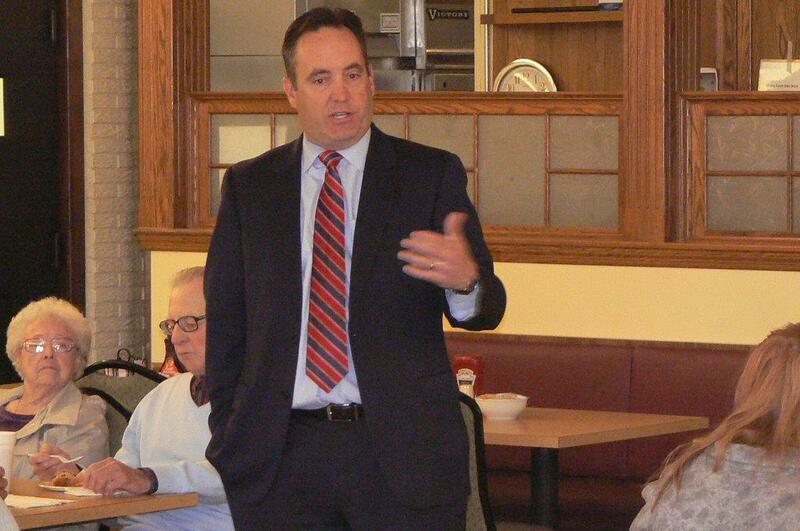 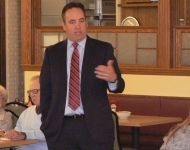 Senator speaks before a crowd of 50 at the Mifflin County Constituent Breakfast this morning on a variety of topics from pensions to privatization to the Governor's budget to natural gas. 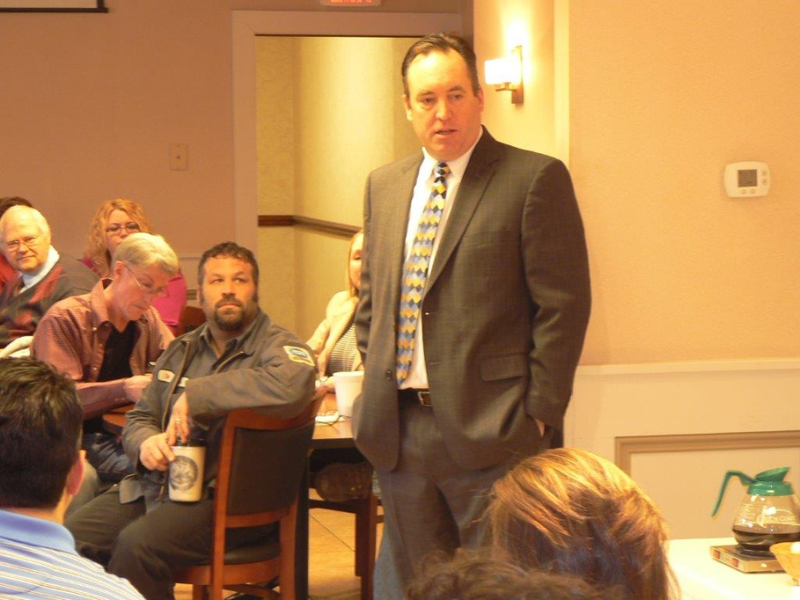 Senator Corman speaks before a group of about 40 folks at the Business to Business meeting held in Mifflin County this morning. 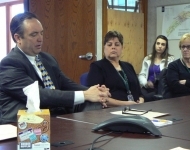 Senator Corman takes a tour of the 911 facility with Director, Alan Weaver and meets with Juniata County Commissioners Theresa O’Neal, Alice Gray, and Jeff Zimmerman. 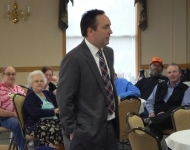 March 31, 2015 - Senator Corman meeting with constituents and answering questions at a Town Meeting in State College. 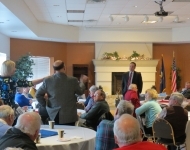 Senator Corman speaks to the Regional APC/PennDOT District 2-0 Liaison Meeting at Celebration Hall in State College about Act 89 of 2013 and Transportation Funding. 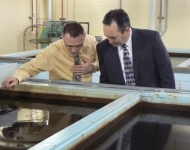 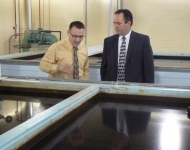 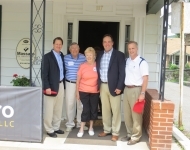 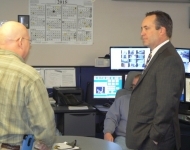 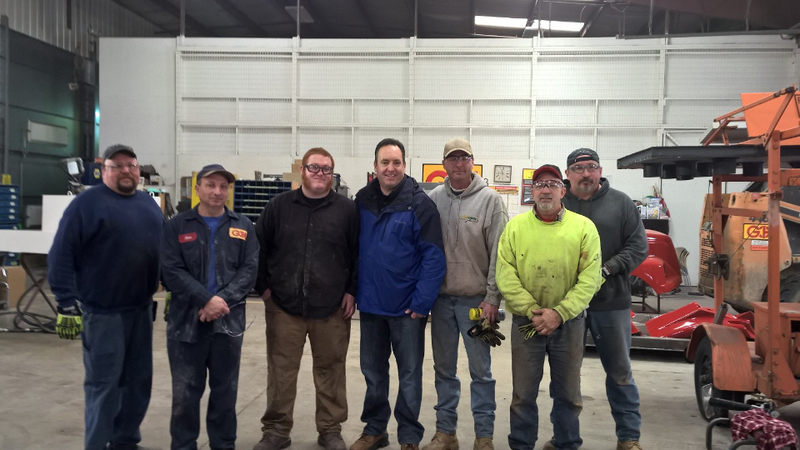 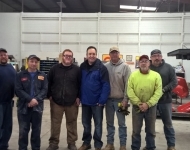 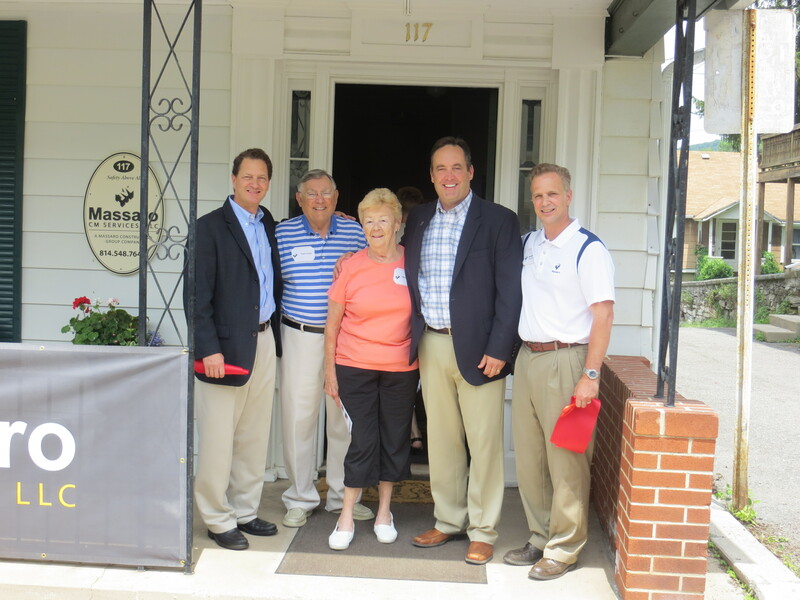 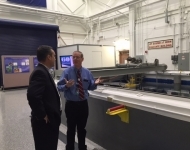 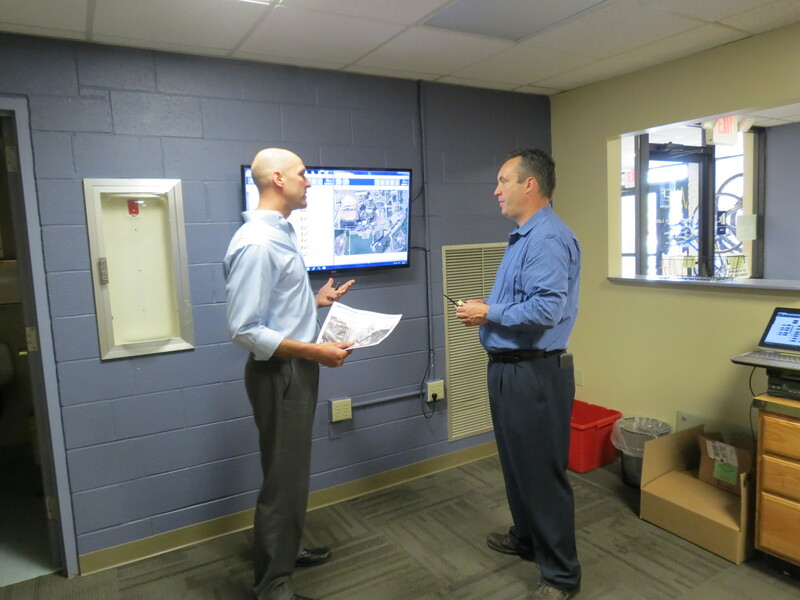 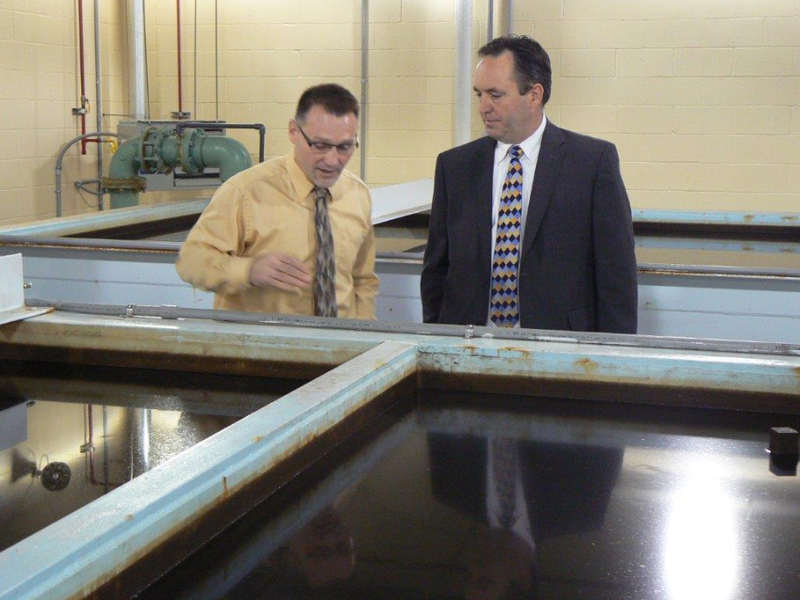 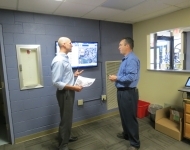 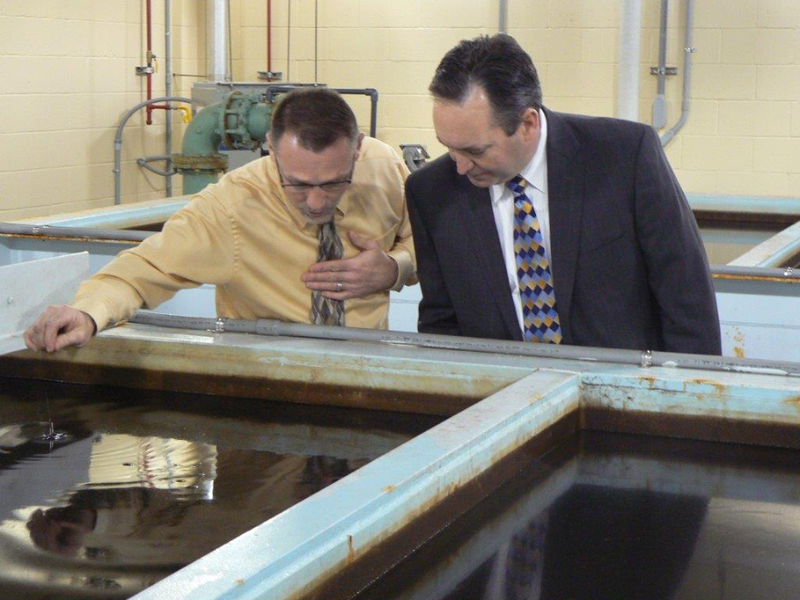 Senator Corman visits the Glenn O. Hawbaker, Inc. paint and restoration complex. 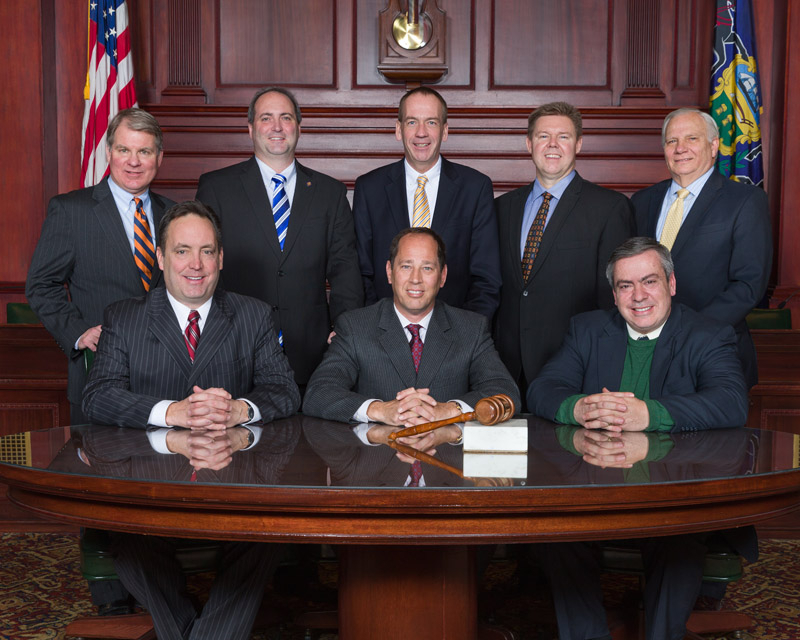 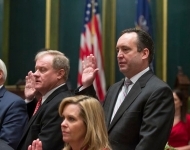 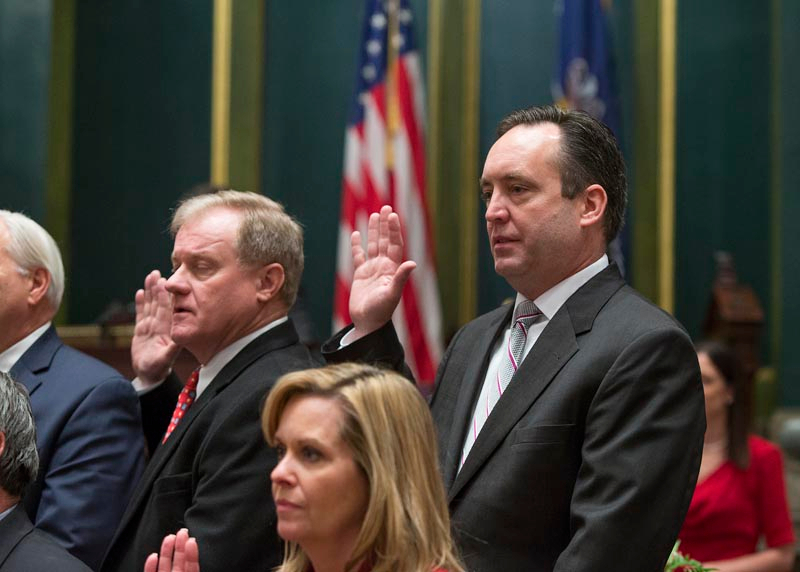 Front Row (left to right) after myself is Senate President Pro Tempore Senator Joe Scarnati and Appropriations Chair Senator Pat Browne. Back Row (left to right) Policy Chair David G. Argall, Caucus Administrator Senator Chuck McIlhinney, Whip Senator John Gordner, Caucus Secretary Senator Richard Alloway II, and Caucus Chair Senator Bob Mensch. 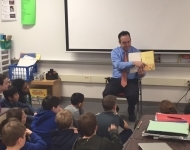 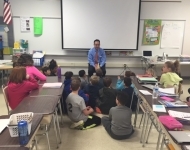 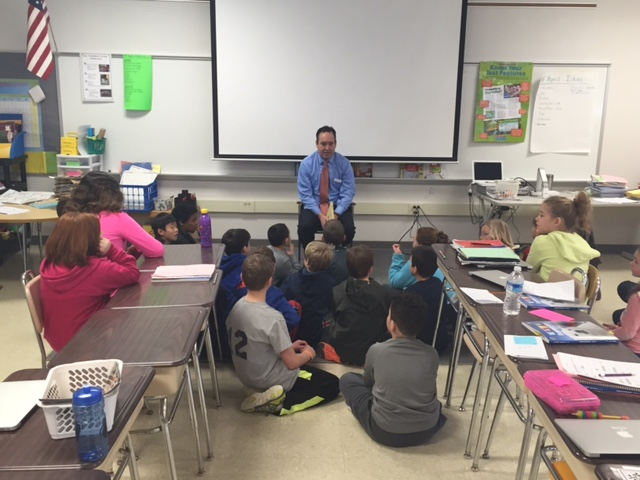 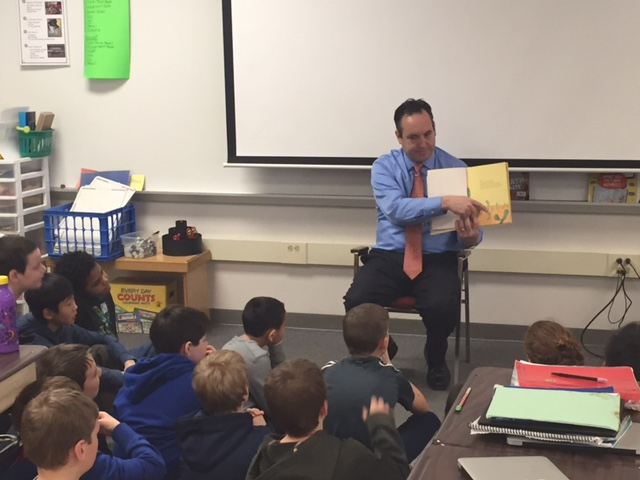 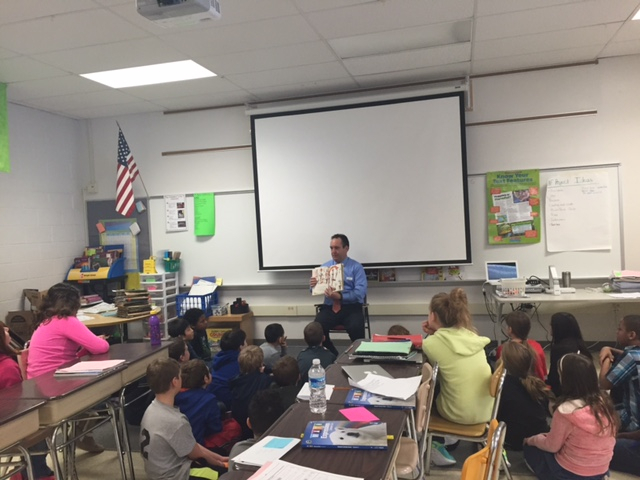 February 5, 2015 - Senator Corman read “How Lucky You Are” by Dr. Suess to the students of Mr. Rich Schmidt’s 4th grade class at Corl Street Elementary School in State College. 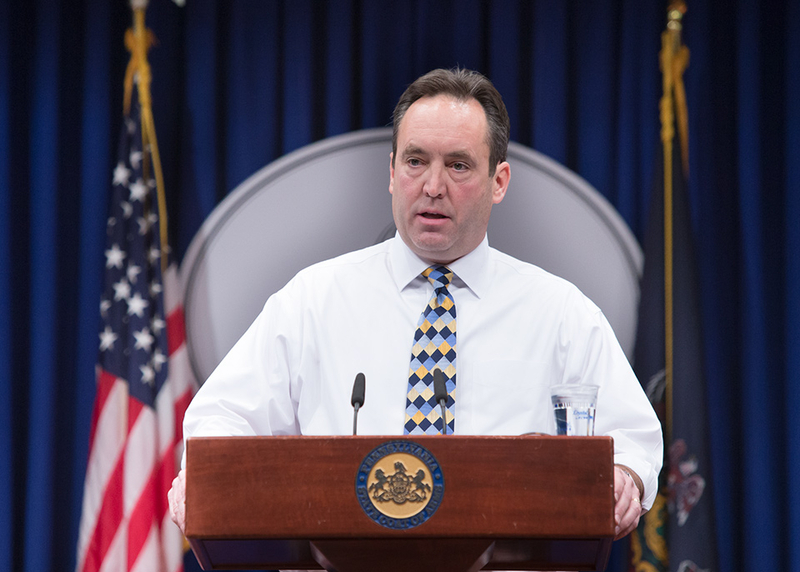 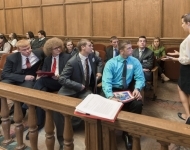 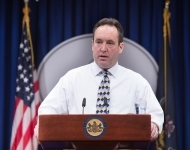 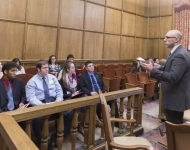 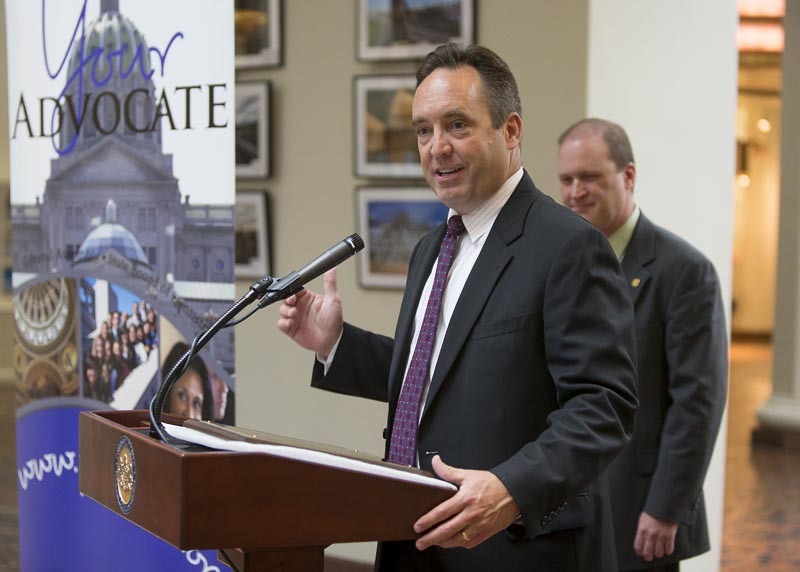 January 16, 2015 - Press Conference in Harrisburg announcing the end to litigation of Corman/McCord v. NCAA and PSU.